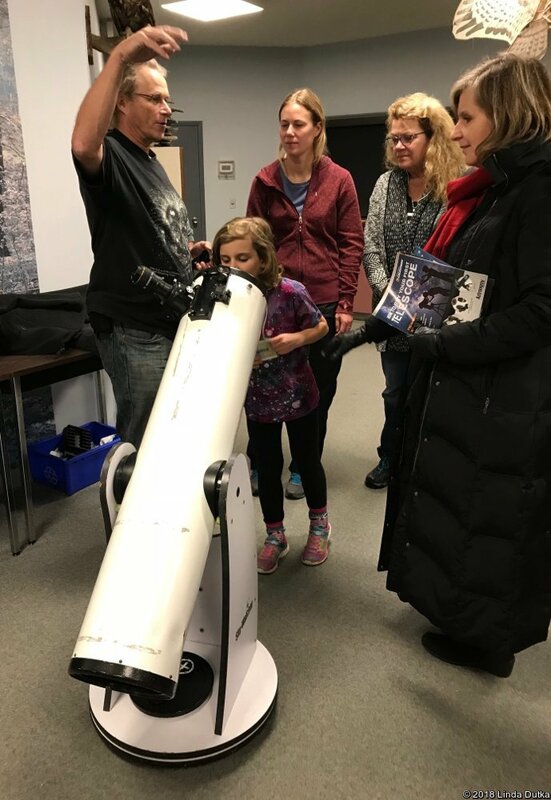 WRN Kids was a bit different this month; they met in the evening to learn about the night sky! 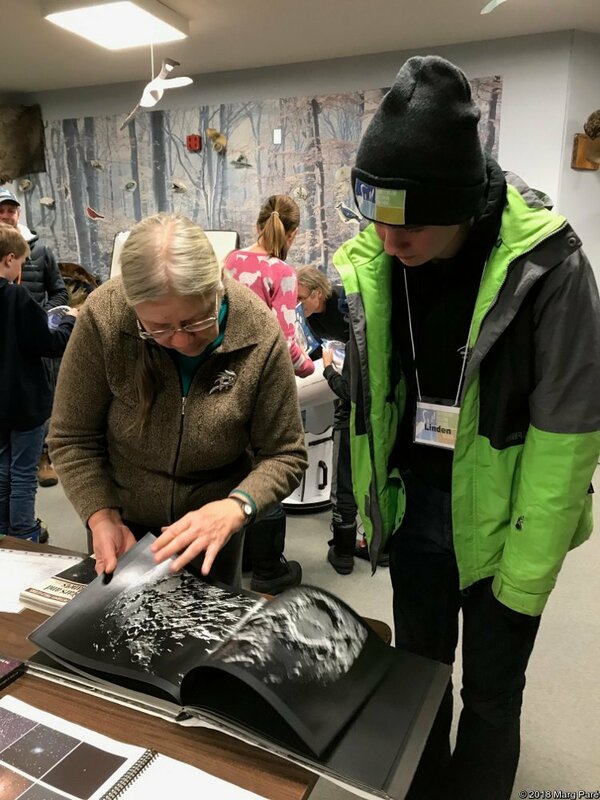 Sadly, the sky was overcast so the program was all indoors. 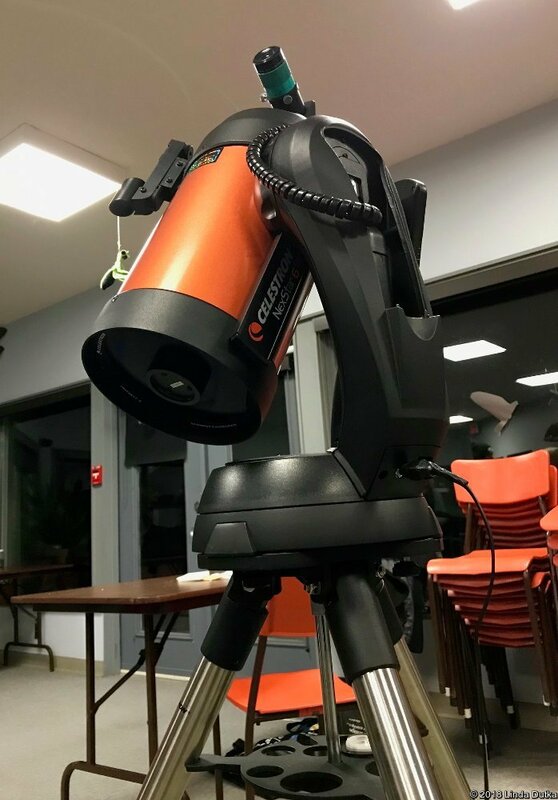 The Kids were still excited to learn about astronomy and had really great questions. 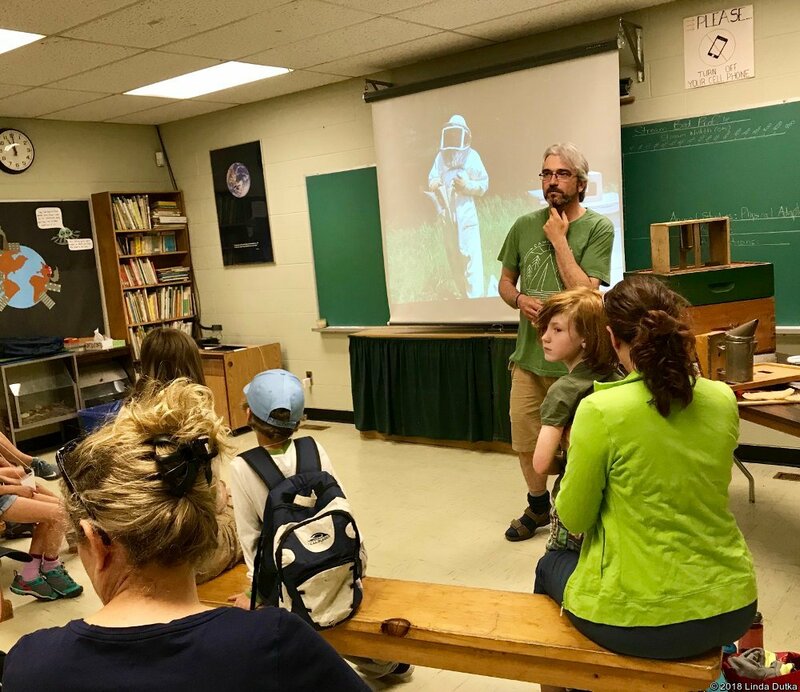 Ian, a GRCA naturalist, used a software program to show constellations and planets, and travel through space and time. 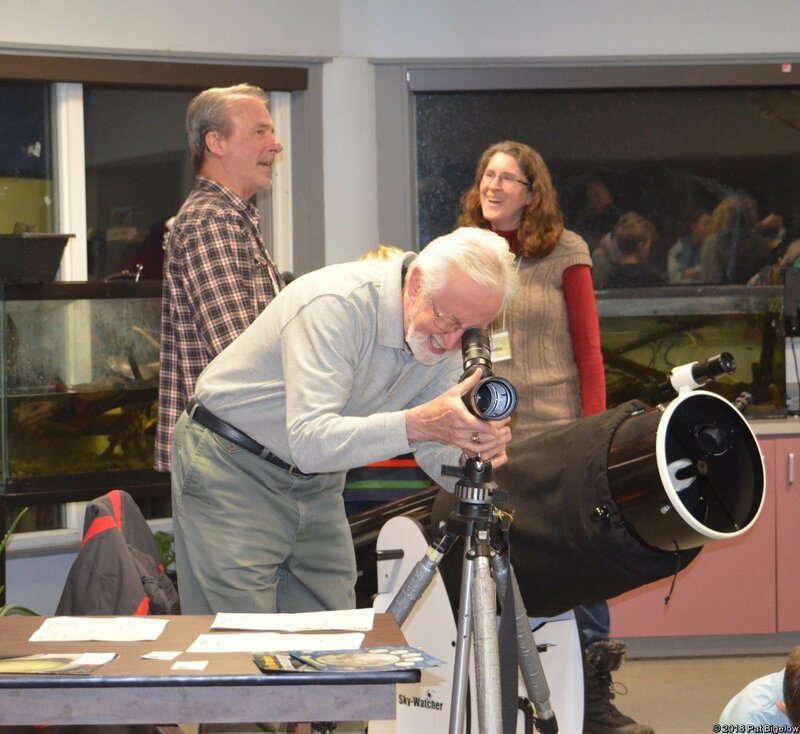 Afterwards, several volunteers from the KW branch of the Royal Astronomical Society of Canada showed off their toys! 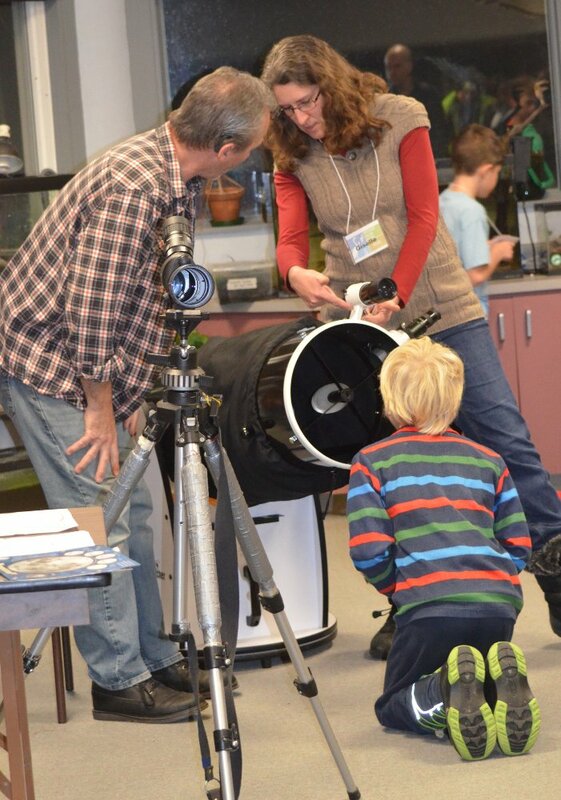 The Kids got to touch the telescopes and learn a bit about how they work. 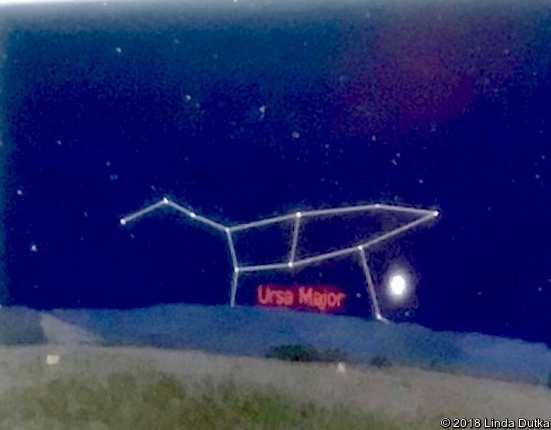 After chatting with the amateur astronomers, the Kids took home sky charts to try out on a clearer night. 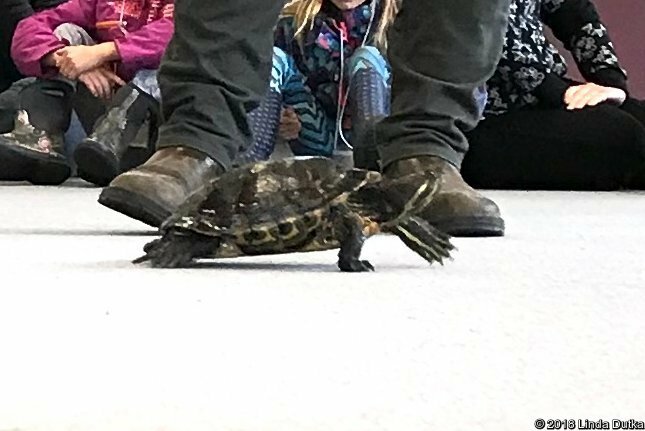 On Saturday October 27, 2018 the WRN Kids met the turtles who live inside at the nature centre and learned about turtle shells, how turtles survive, and why they are endangered. 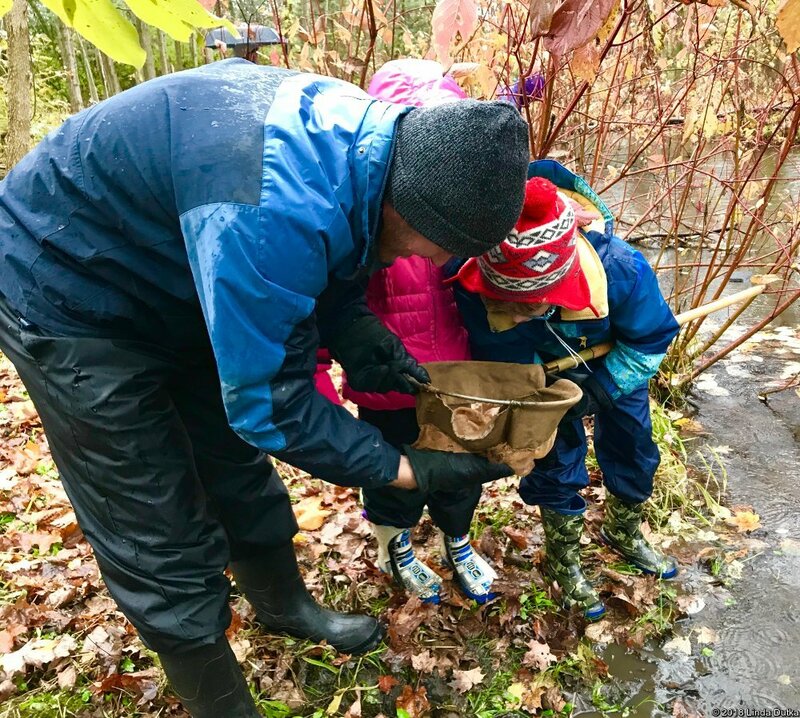 It was cold, windy and a bit rainy but they got their rubber boots on, brought the nets and buckets, and got right into the creek to see who lives there — and could still be found this late in the fall. 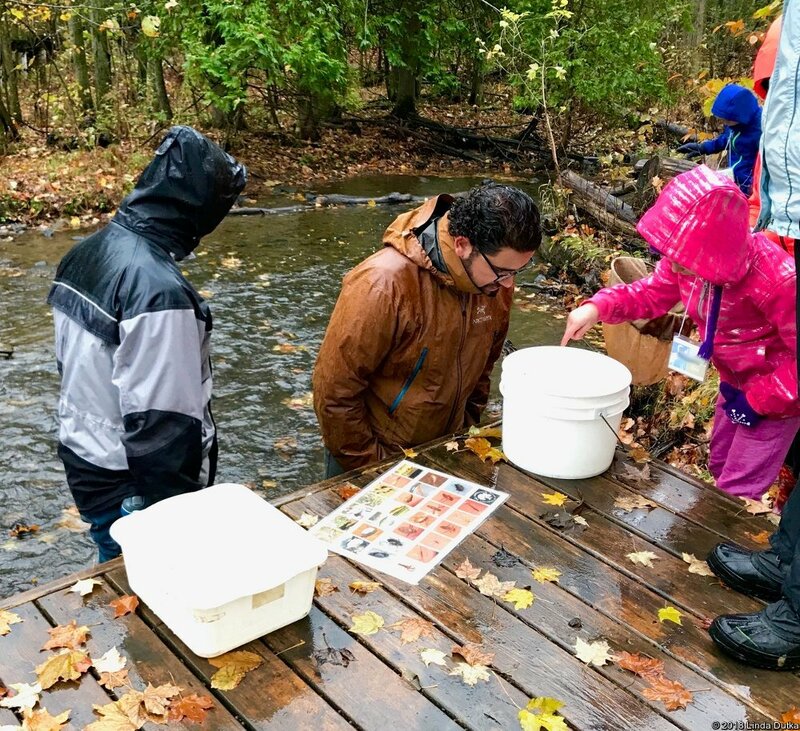 They were excited to catch fish, some very cool bugs, some strange creatures in early stages of development, tiny red Blood Worms — and a Northern Leopard Frog! 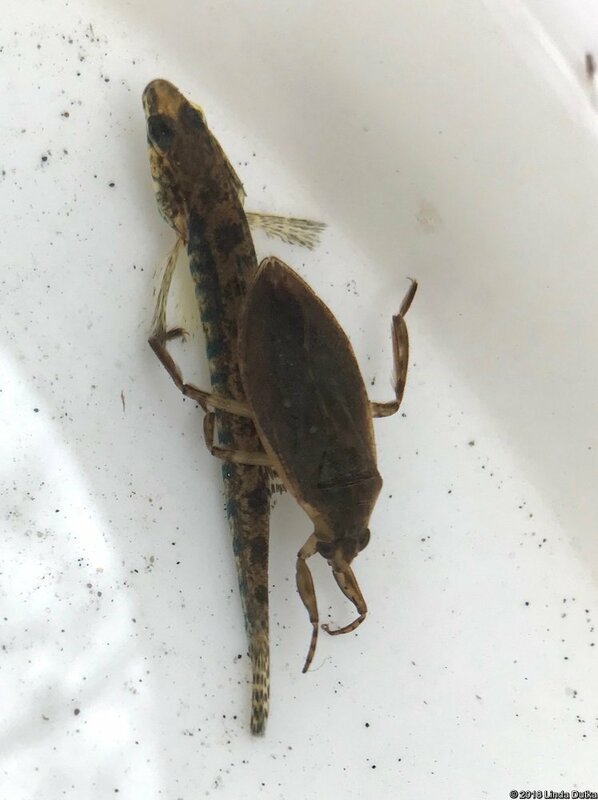 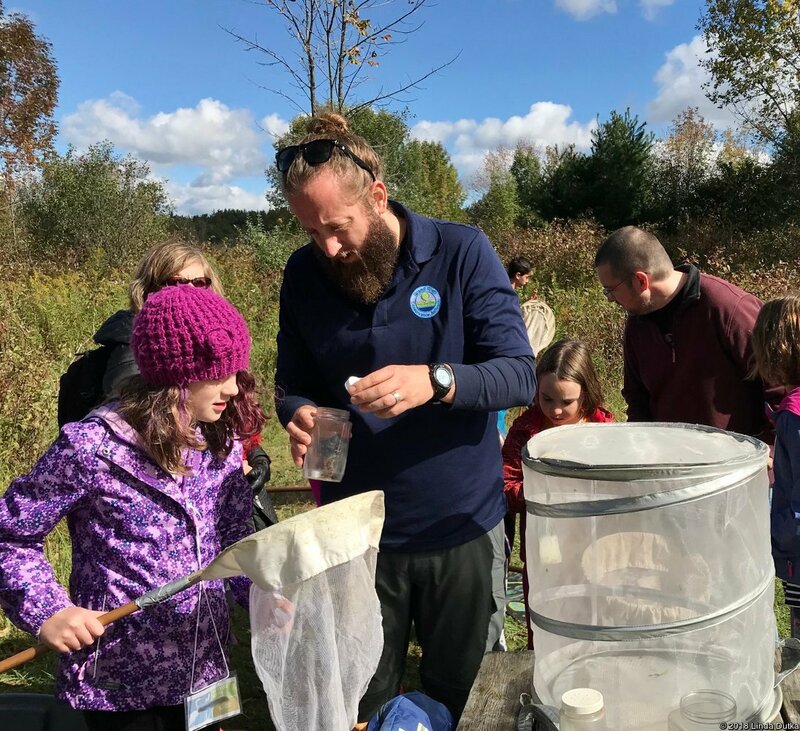 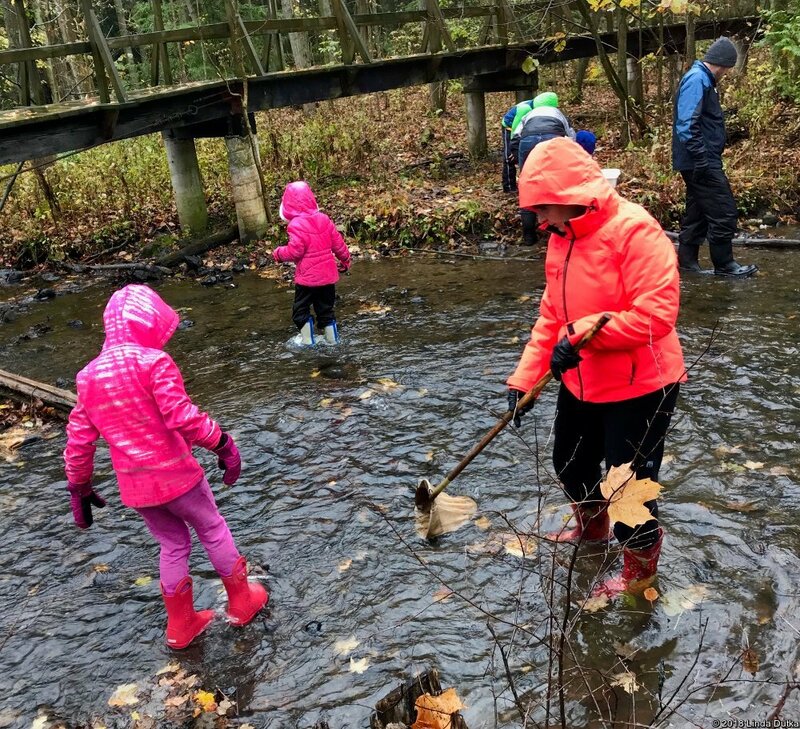 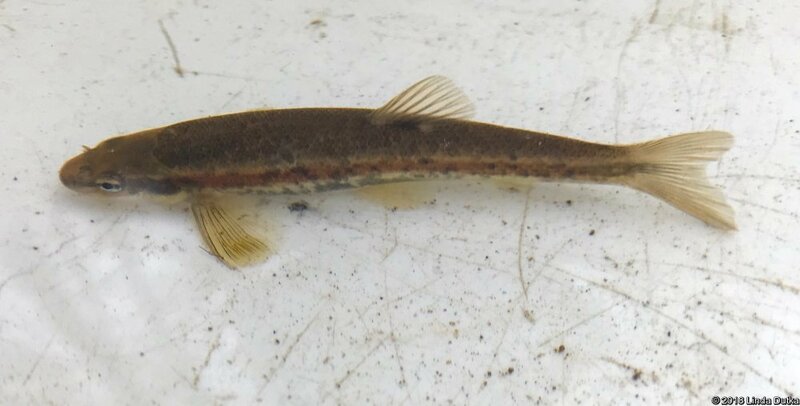 For more photos visit the WRN Kids blog at October 27, 2018 – Water at Laurel Creek Nature Centre. 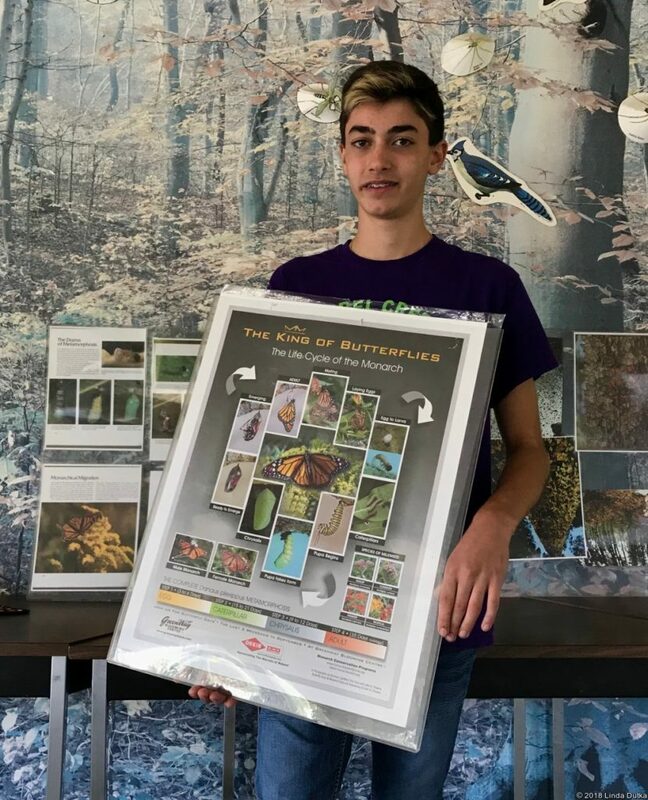 On Saturday September 29, 2018 the WRN Kids learned about the Monarch butterfly life cycle and migration from Jeff Grant, a grade 10 student who is a butterfly and moth expert. 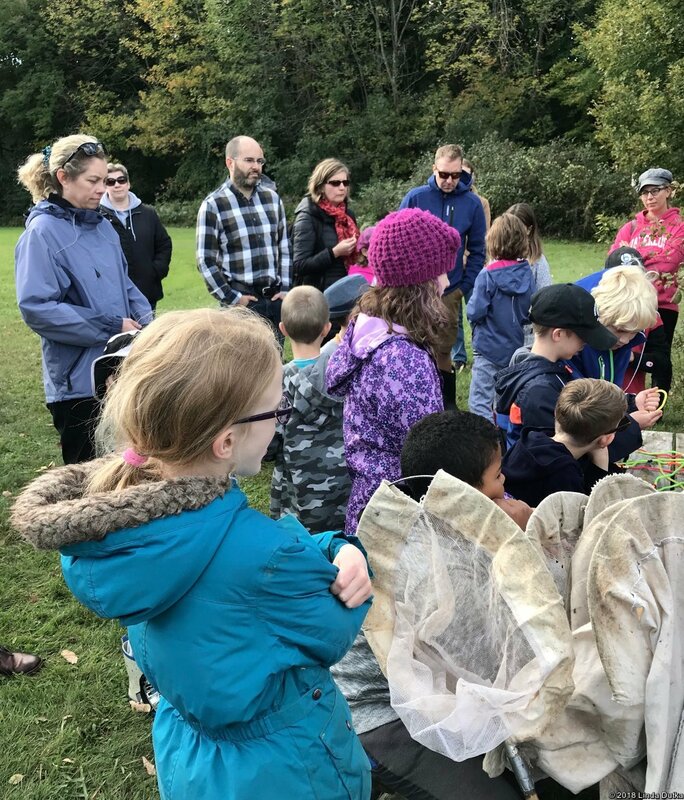 GRCA naturalist Chris sent the families out on a hike/game that emulated what food and hazards Monarchs would find during their migration. 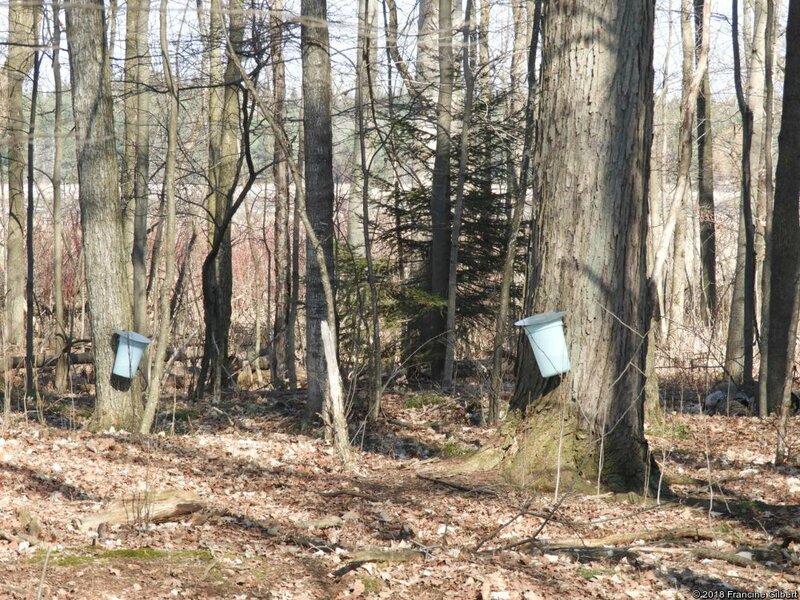 Next, they went hunting live bugs with nets in the meadow. 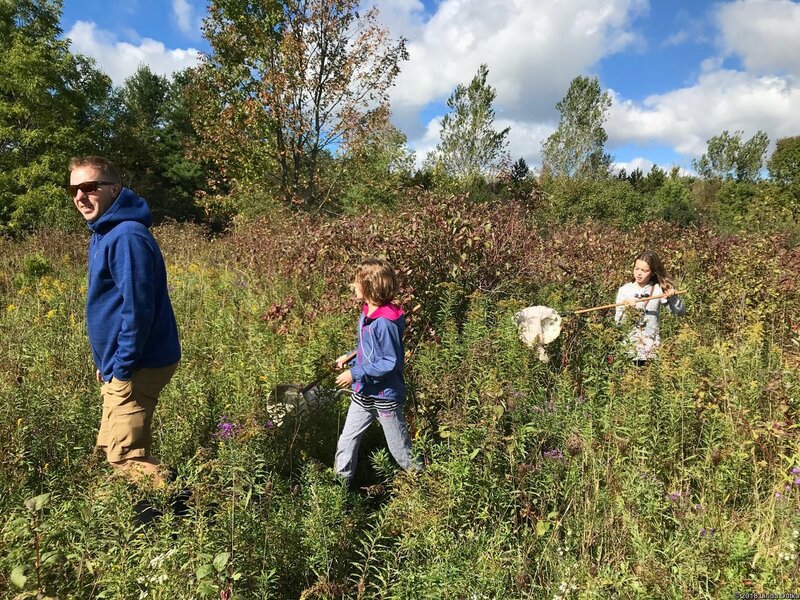 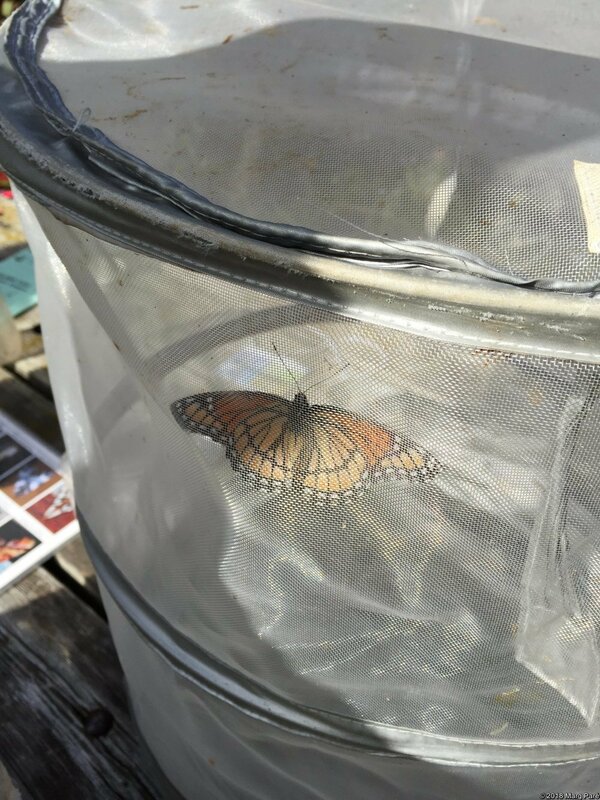 For more photos visit the WRN Kids blog at September 29, 2018 – Monarch Migration and Bug Hunt. 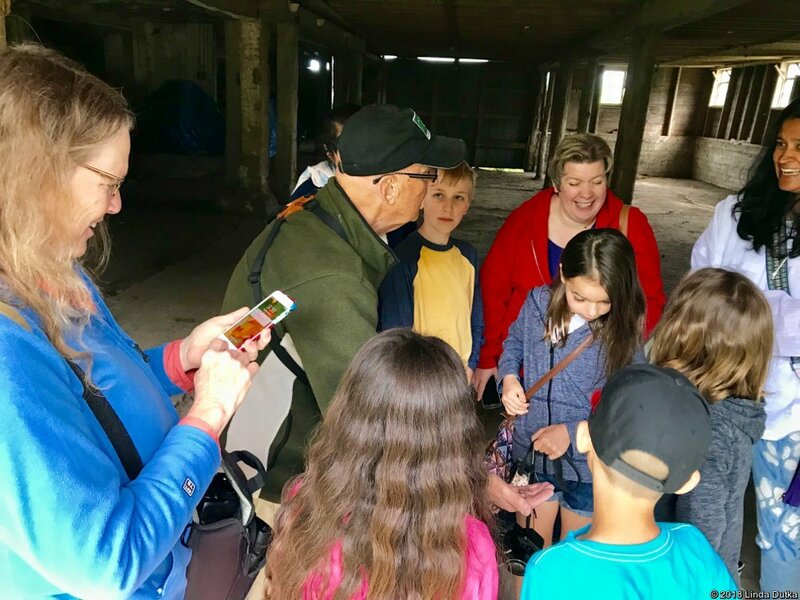 On Saturday June 9, 2018 WRN Kids went on a bonus outing to SpruceHaven Farm in St. Agatha led by David Gascoigne. 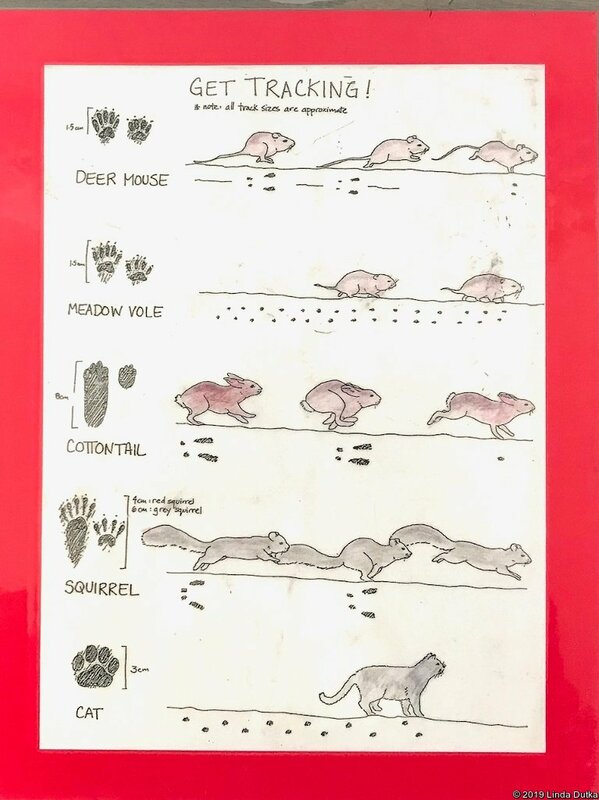 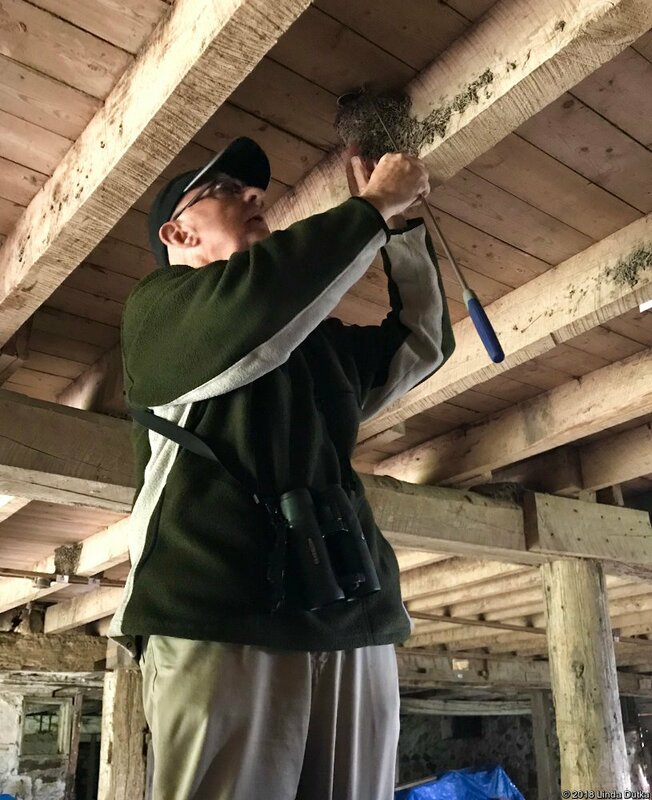 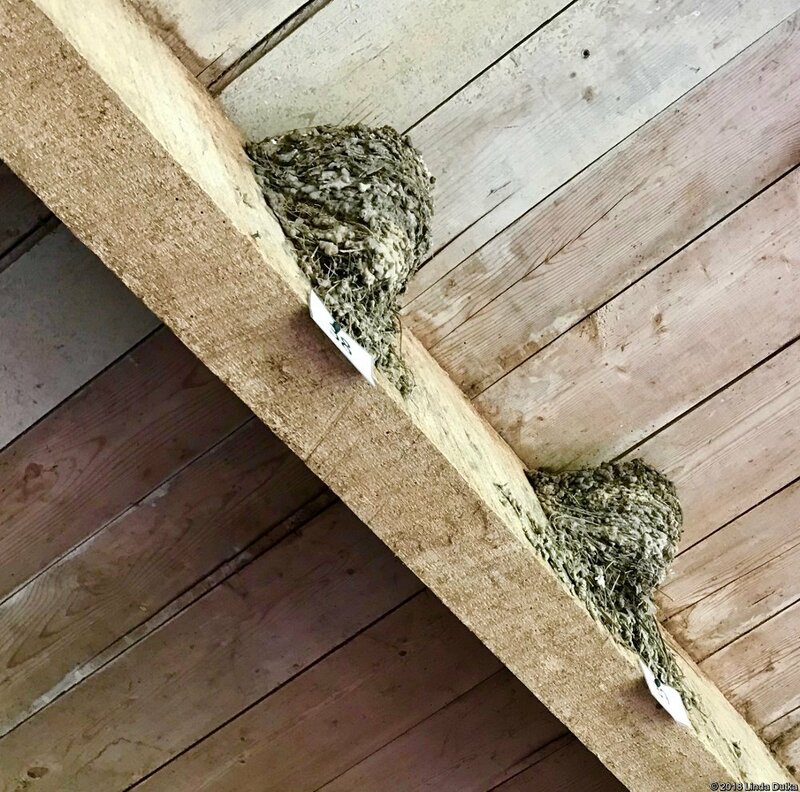 They viewed the mud nests in the barn and learned how the nests are monitored by volunteers during the breeding season. 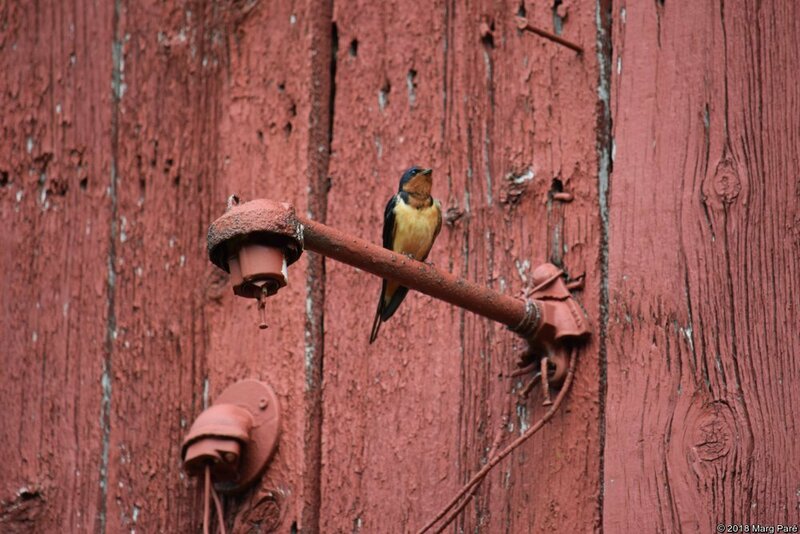 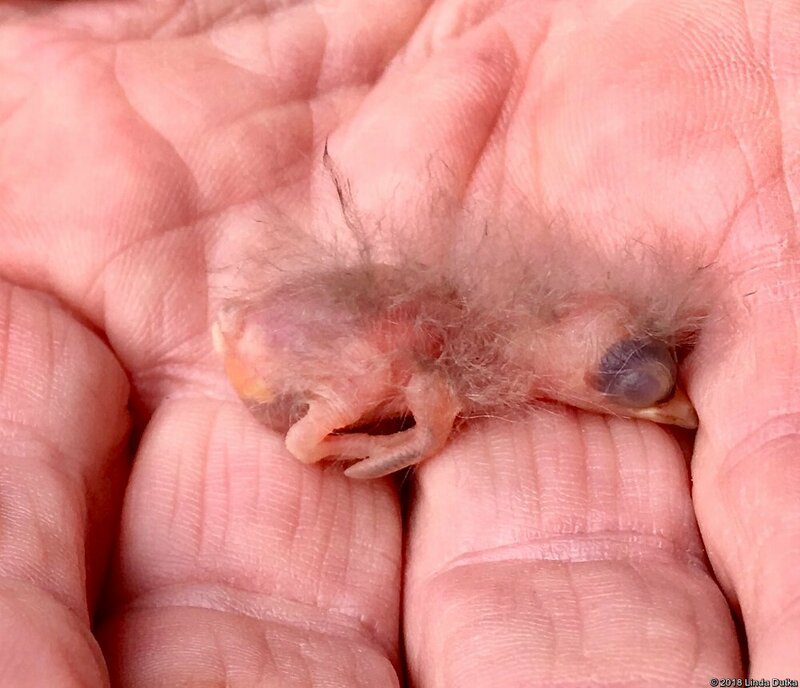 They got to see a one day old Barn Swallow up close. 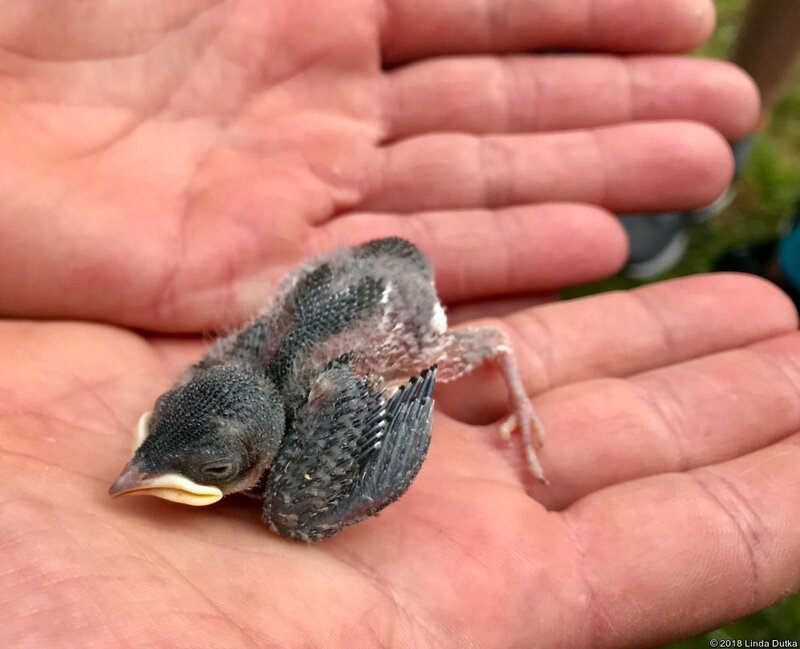 Out in the fields they saw Eastern Bluebirds and Tree Swallows, and got to hold a Tree Swallow nestling. 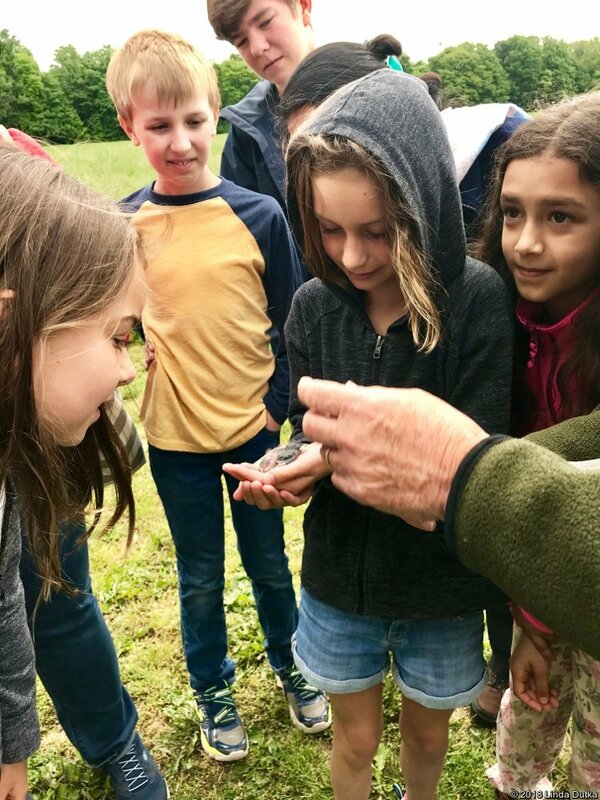 For more on this outing and some more photos visit the WRN Kids blog at: June 9, 2018 — SpruceHaven. 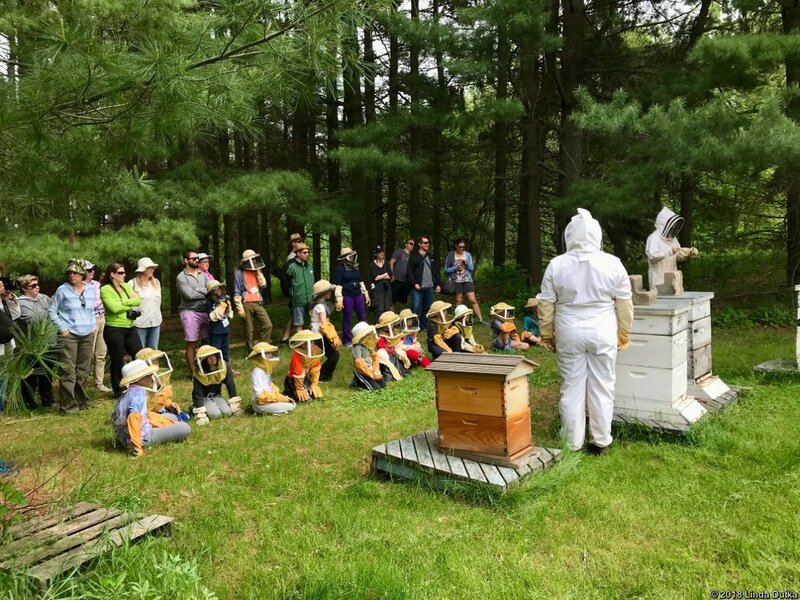 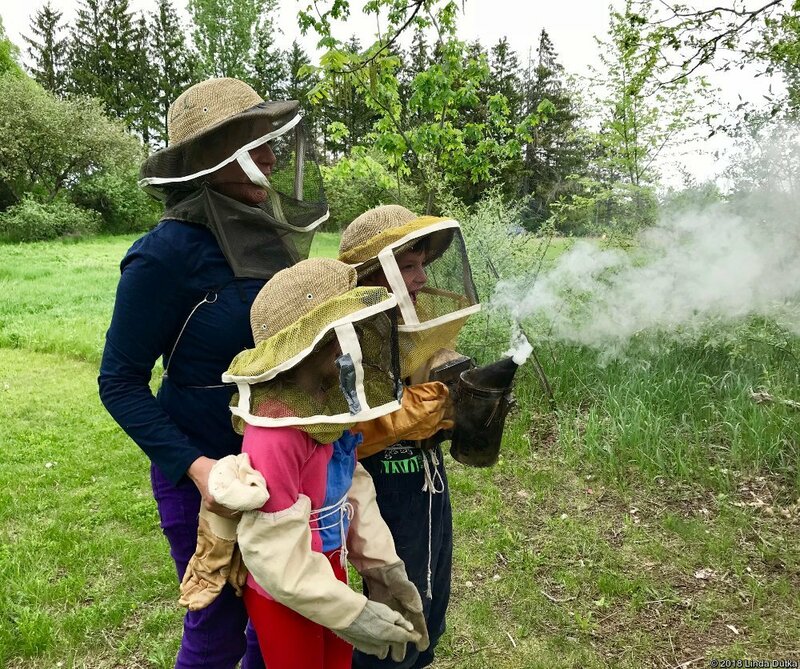 On Saturday May 26, 2018, at their last meeting before the summer break, WRN Kids learned about honey bees and then suited up to visit the hives. 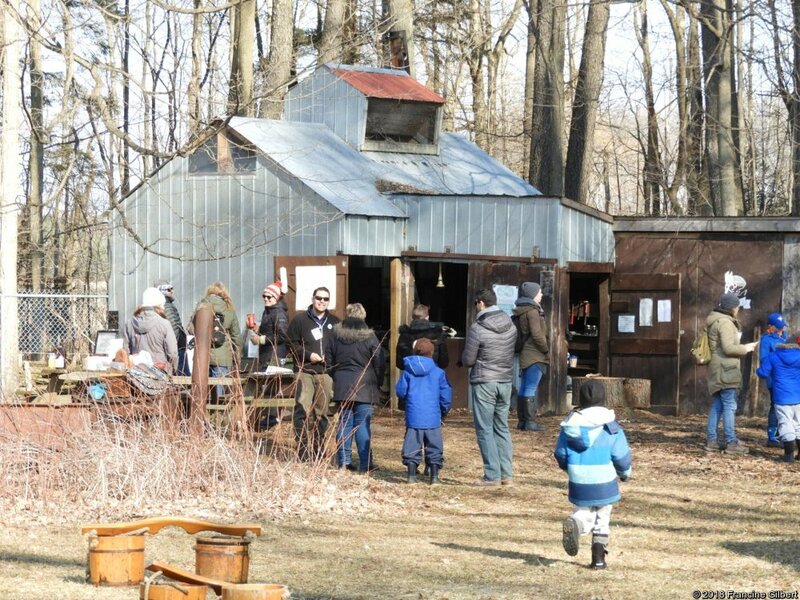 Afterwards the families shared a picnic lunch. 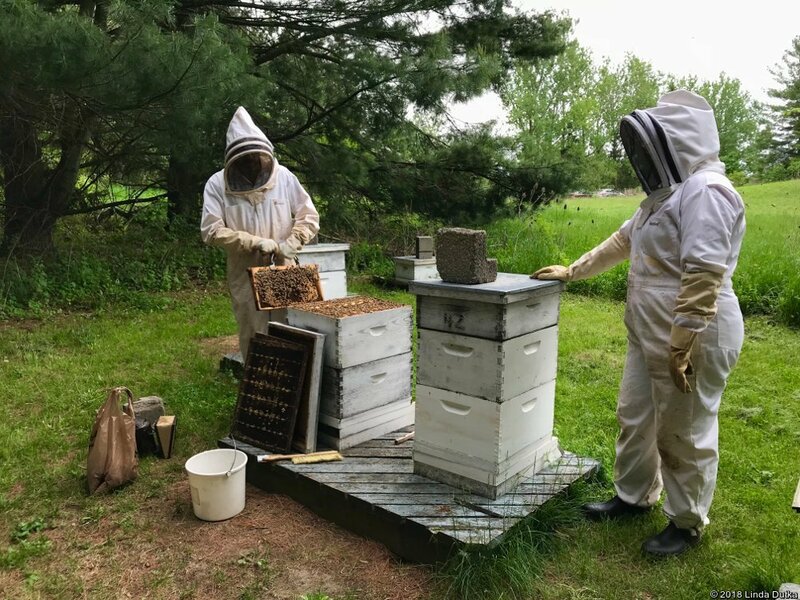 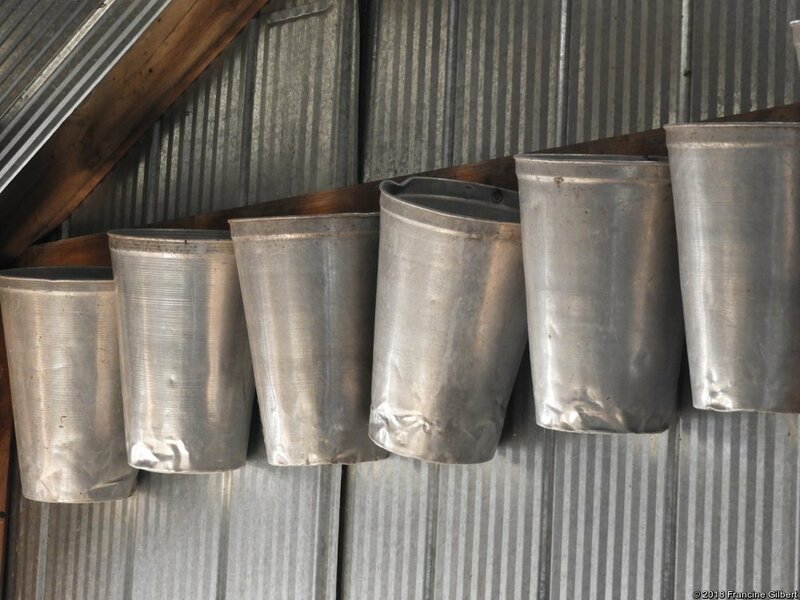 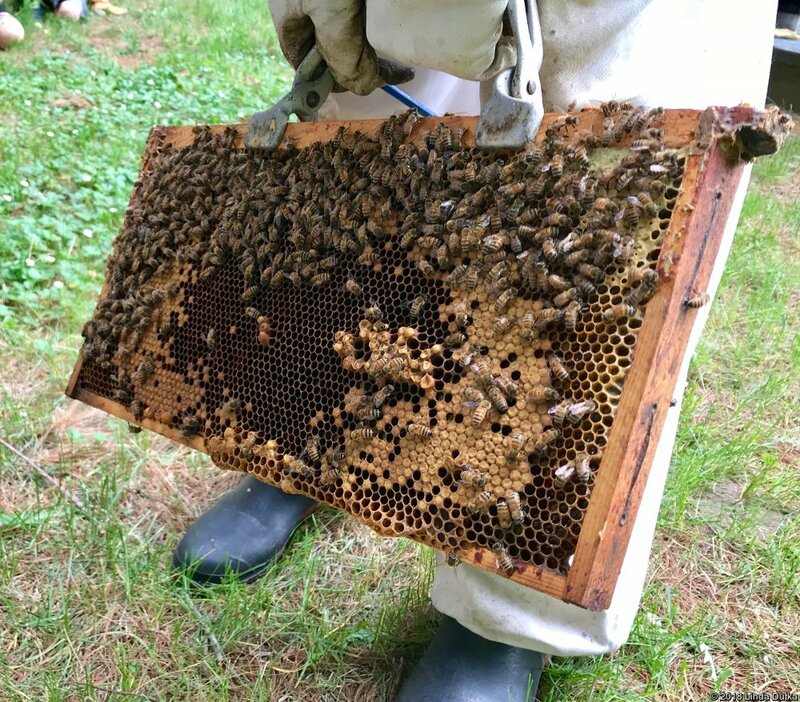 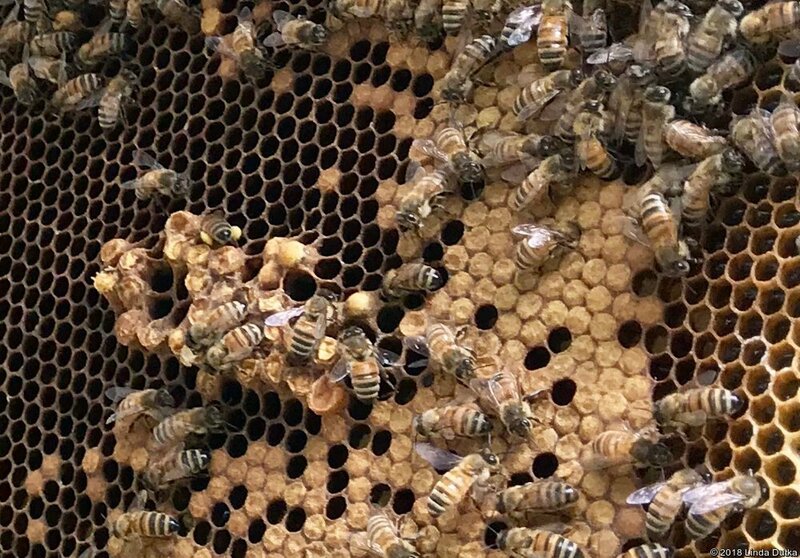 For more photos visit the WRN Kids blog at May 26, 2018 — Bee Hives. 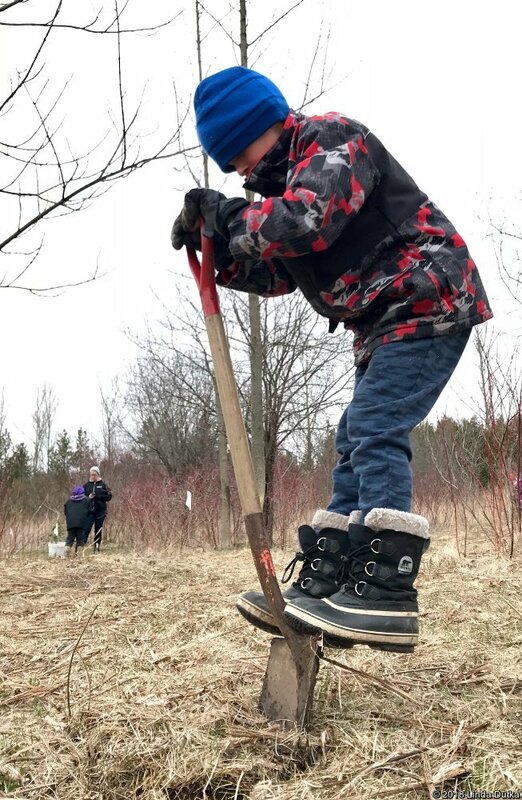 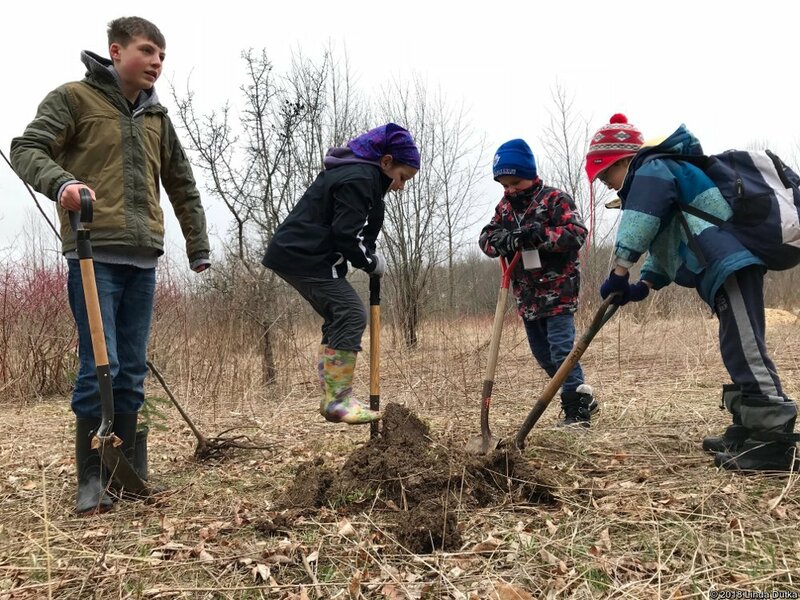 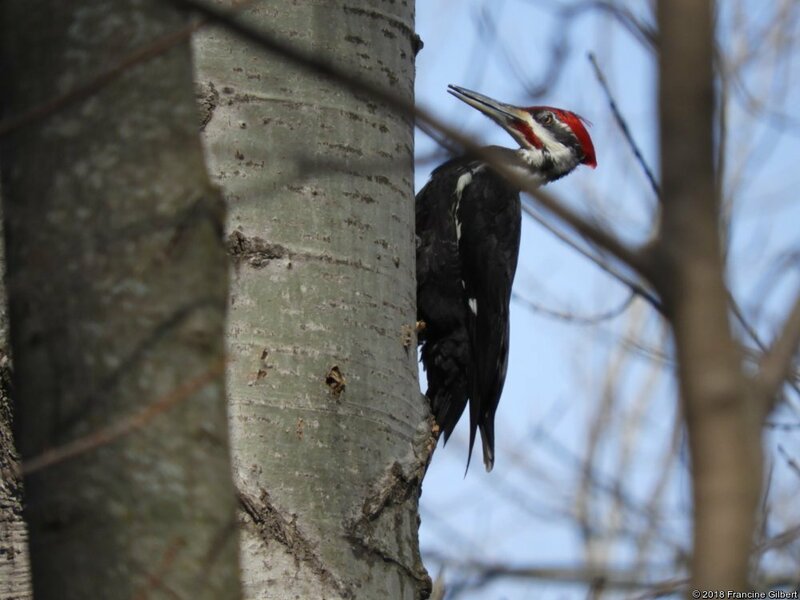 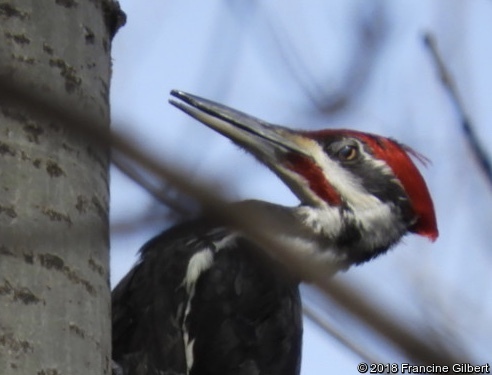 New trees are needed in a few spots at Laurel Creek Nature Centre because of some invasive species being removed and to replace ash trees that had to be cut down. 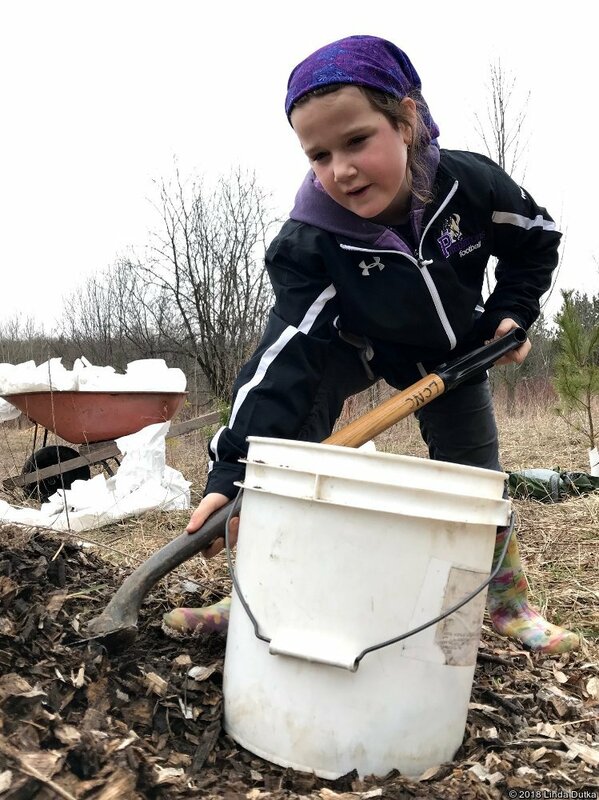 On Saturday April28, 2018 – WRN Kids and their adults put in a morning of carrying trees, shovels and buckets, finding the perfect planting spot not too close to other trees, digging a hole, digging the hole bigger, getting the young tree comfortable, filling in and packing down the soil, filling buckets with mulch, carrying buckets, spreading mulch… and starting over! 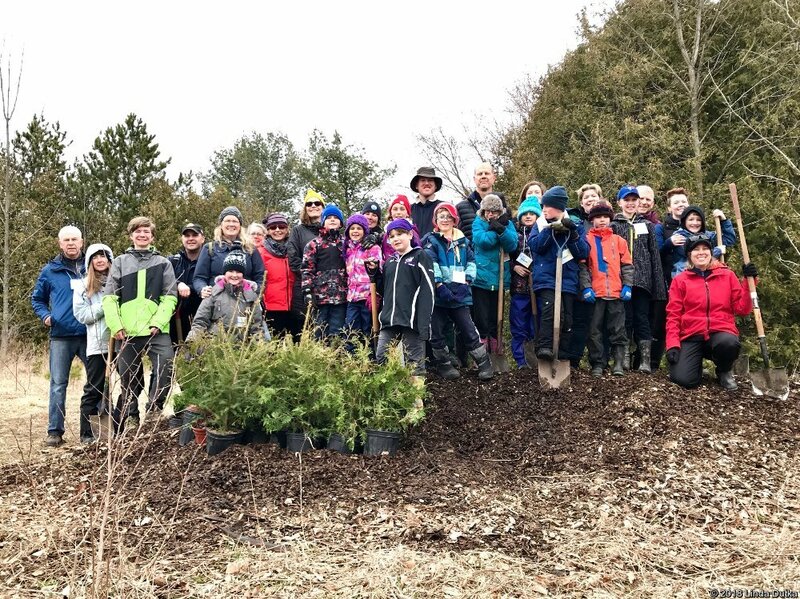 For more photos, see the blog posting at their website: April 28, 2018 – Tree Planting. 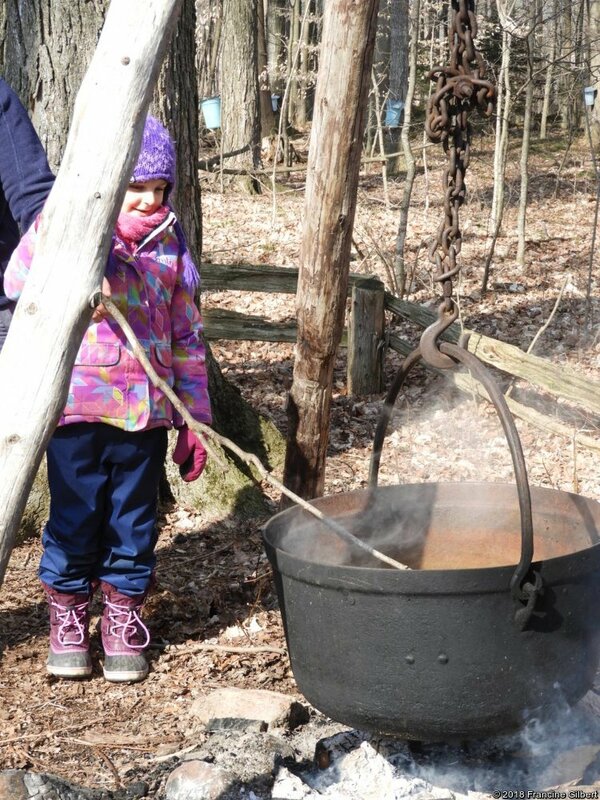 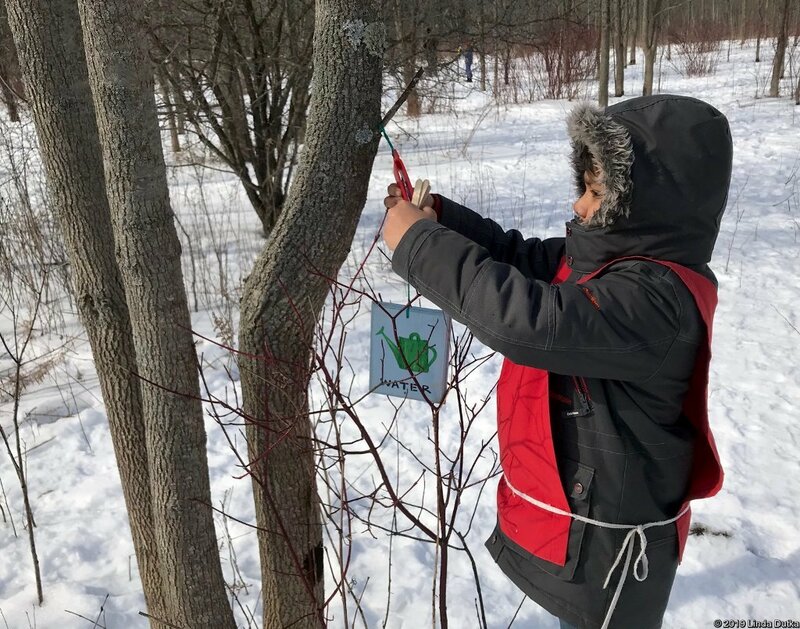 On Saturday March 31, 2018, WRN Kids learned how maple syrup has been made through the years. 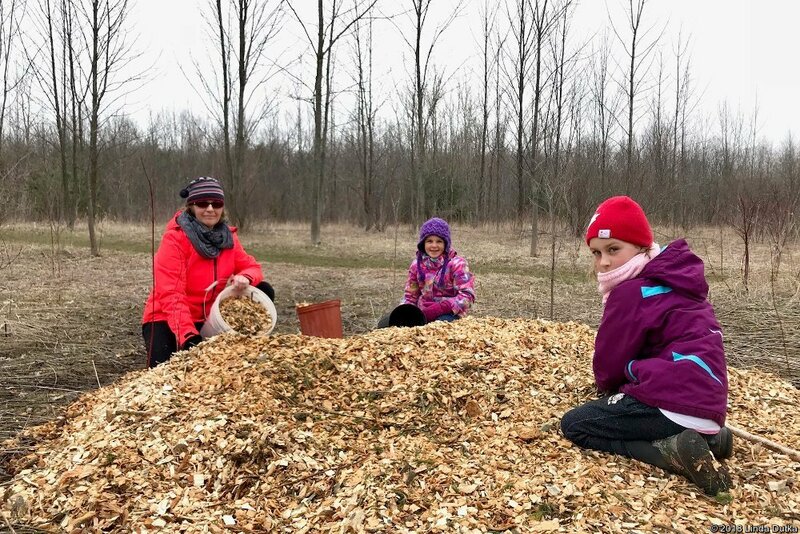 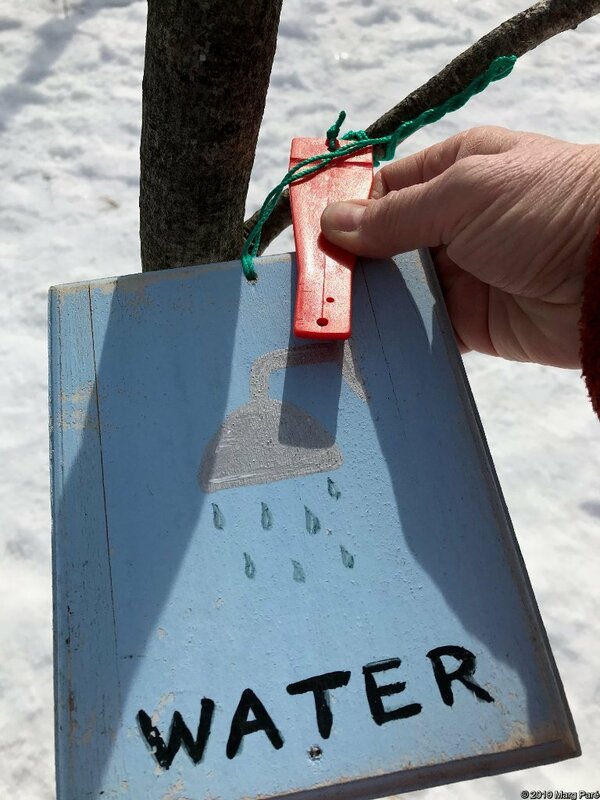 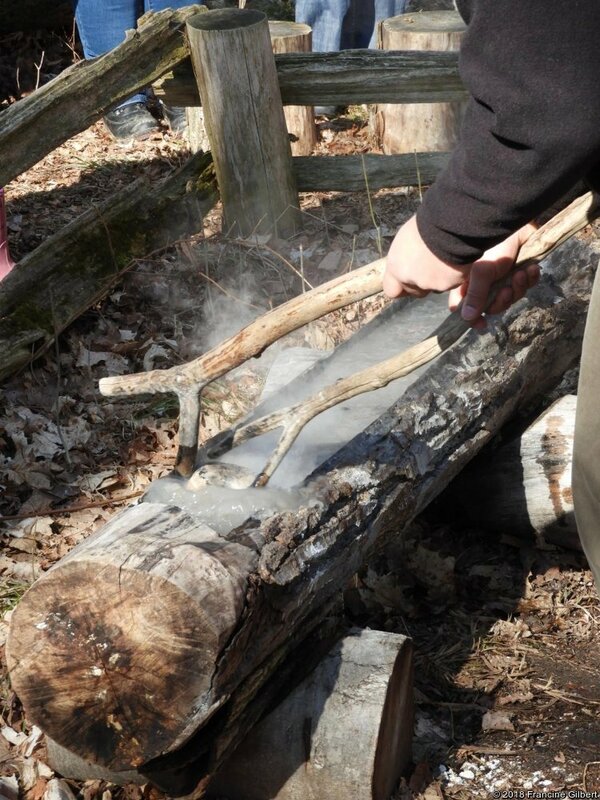 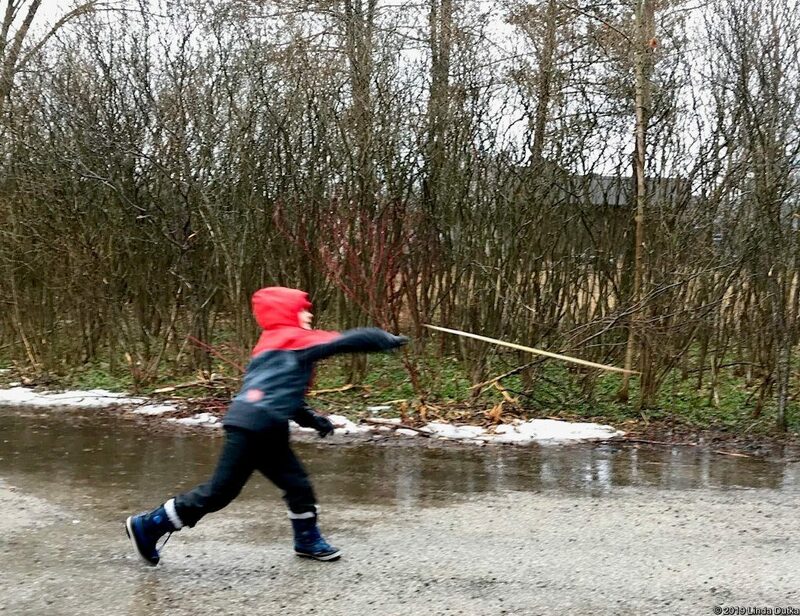 Here are a few photos, but to see many more photos visit the WRN Kids blog at: March 31, 2018 – Maple Syrup / Traditional Skills and especially the photo album on the WRN Facebook page: At the Maple Sugar Bush. 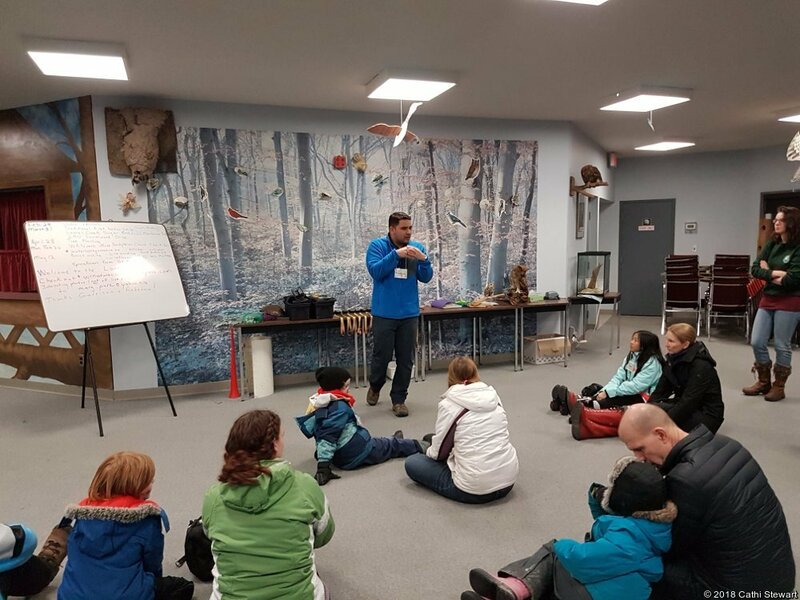 WRN Kids began their evening program on Saturday February 24, 2018 with a short talk about owls and their special adaptations that make them different from other birds. 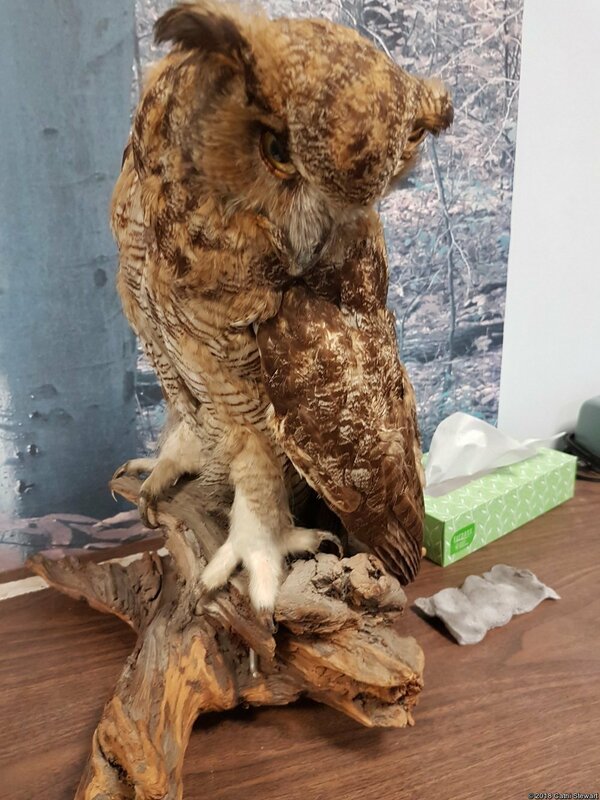 Eyes, ears, head rotation, silent flight and gripping talons are all geared to detecting and catching their prey. 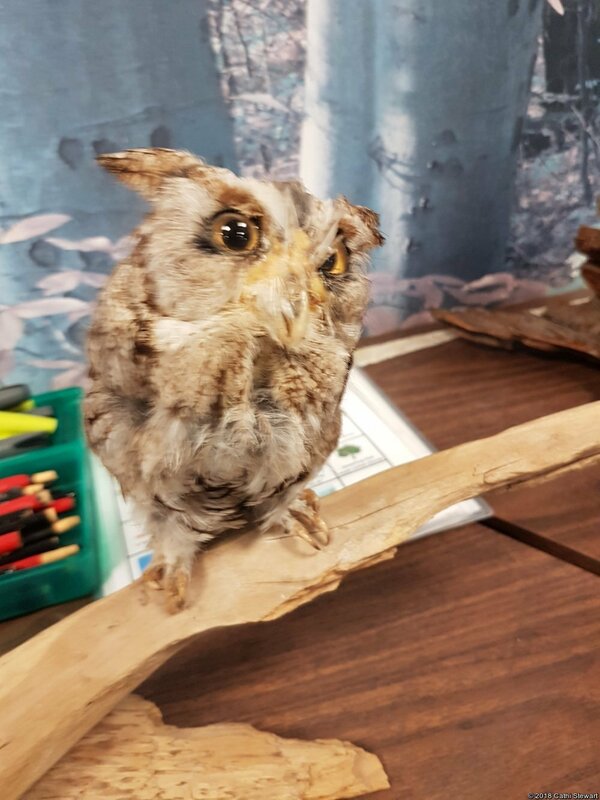 There were two stuffed owls to look at – an Eastern Screech Owl and a Great Horned Owl. 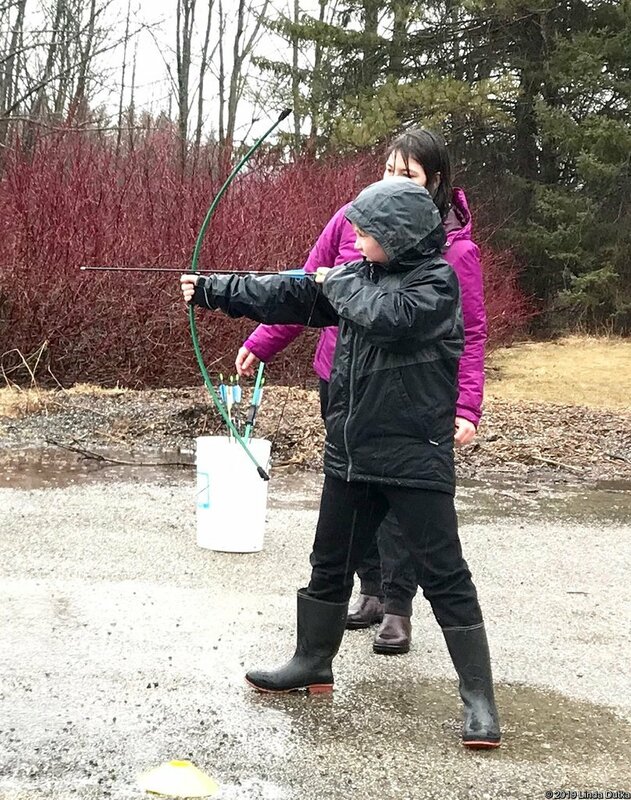 Next they went out on the trails in the forest in search of owls. 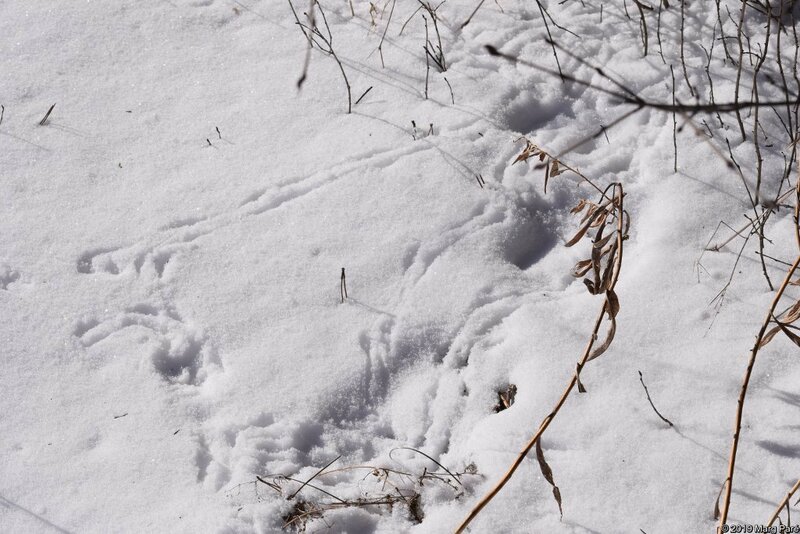 It was a lovely night, not too windy and plenty of moonlight. 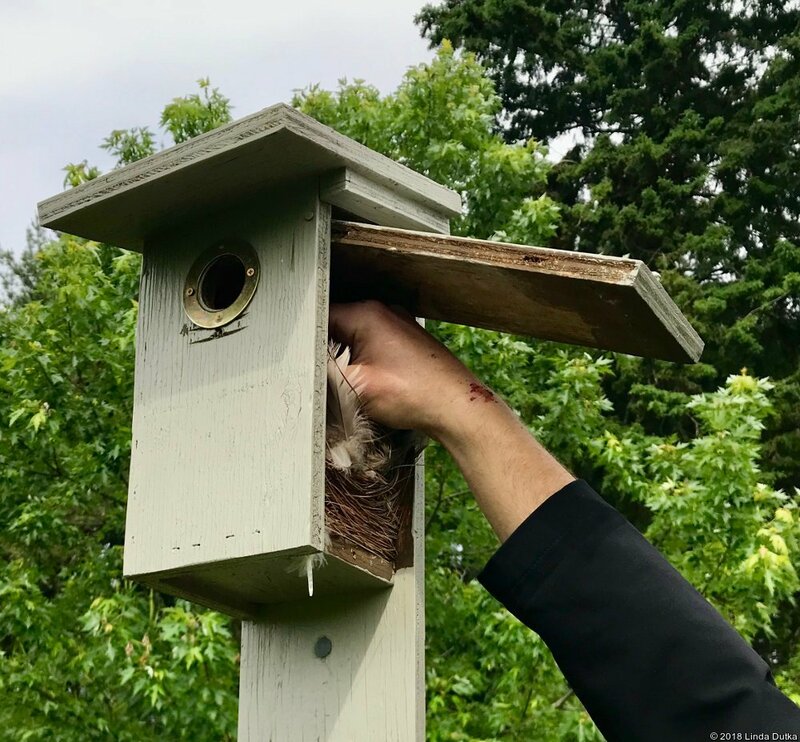 After several stops with no response to played calls, they finally got replies from a couple of screech owls. 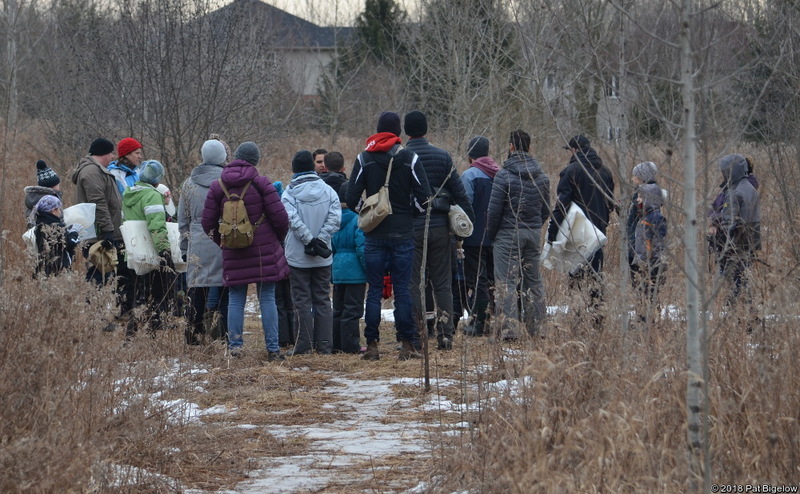 Some caught a glimpse of the owls flying over their heads, and some were lucky enough to see one sitting in a tree. 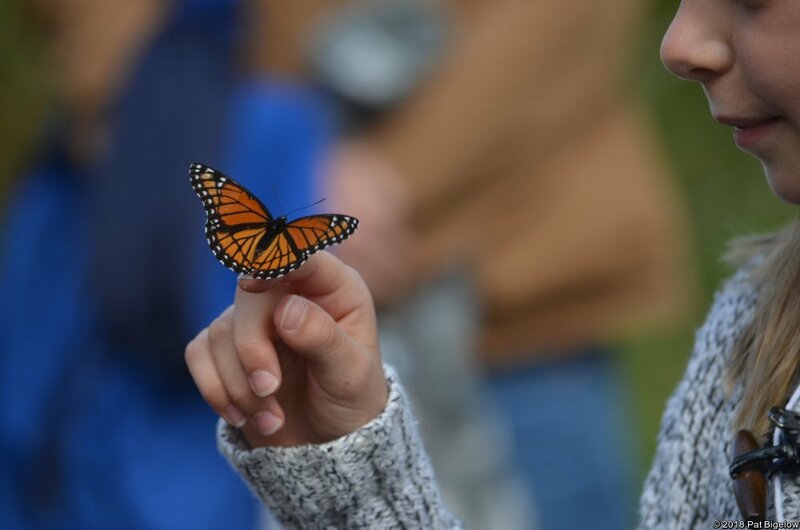 All in all, it was a wonderful night. 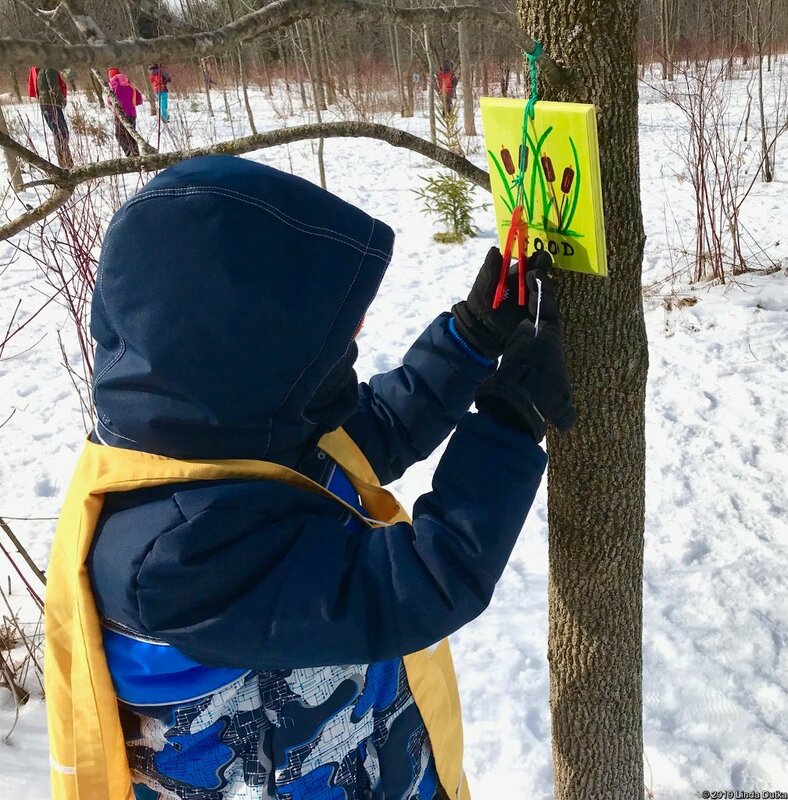 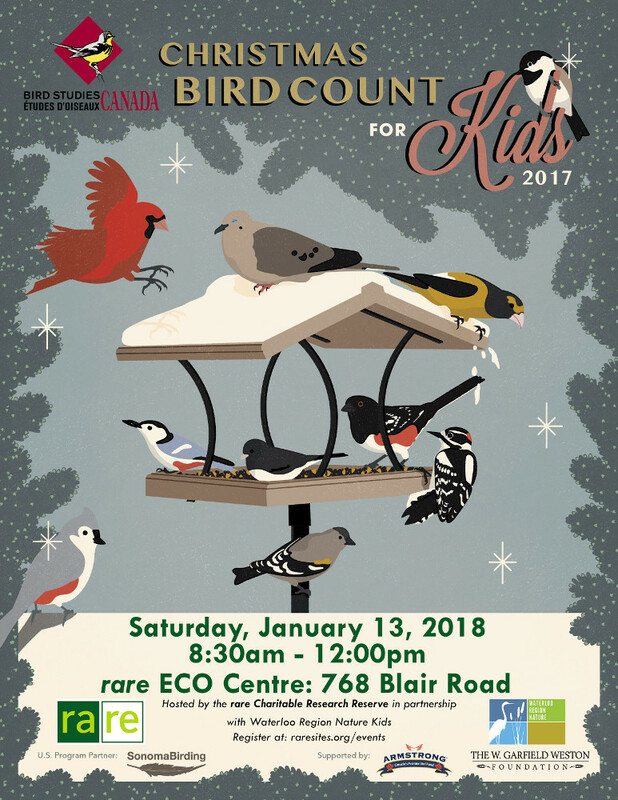 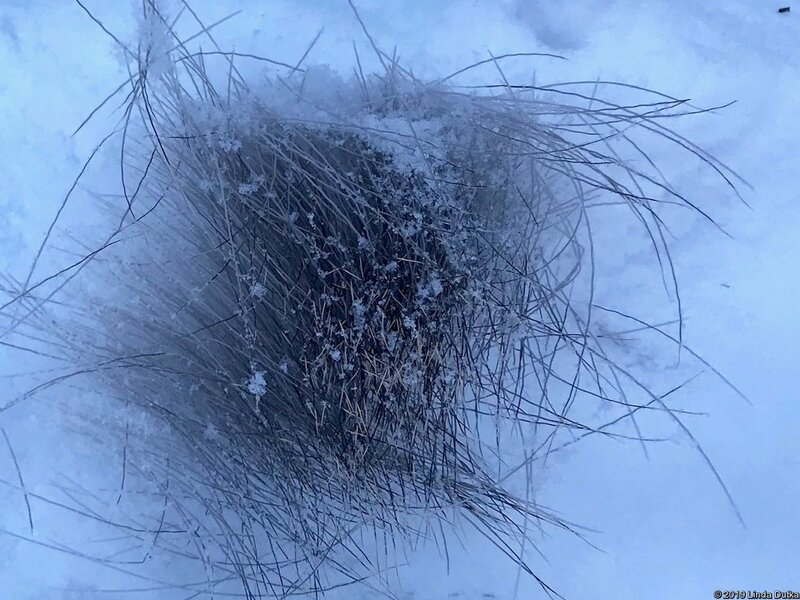 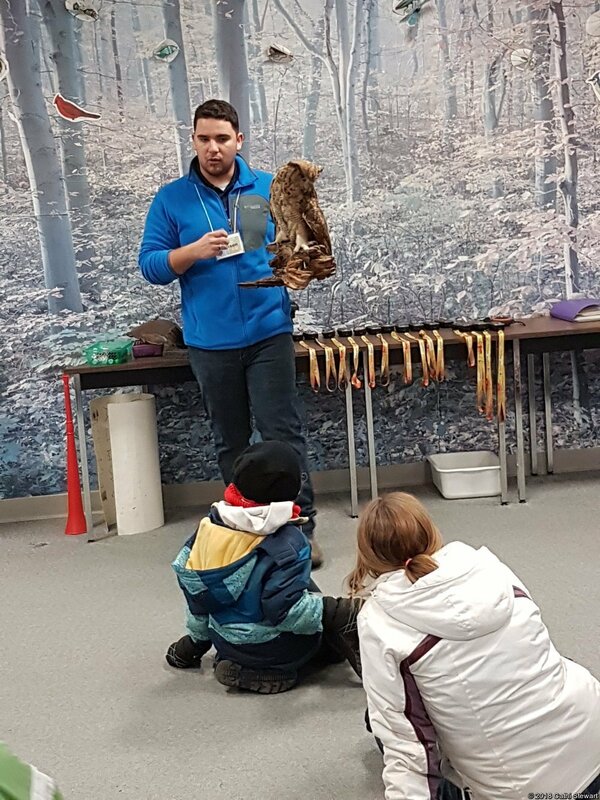 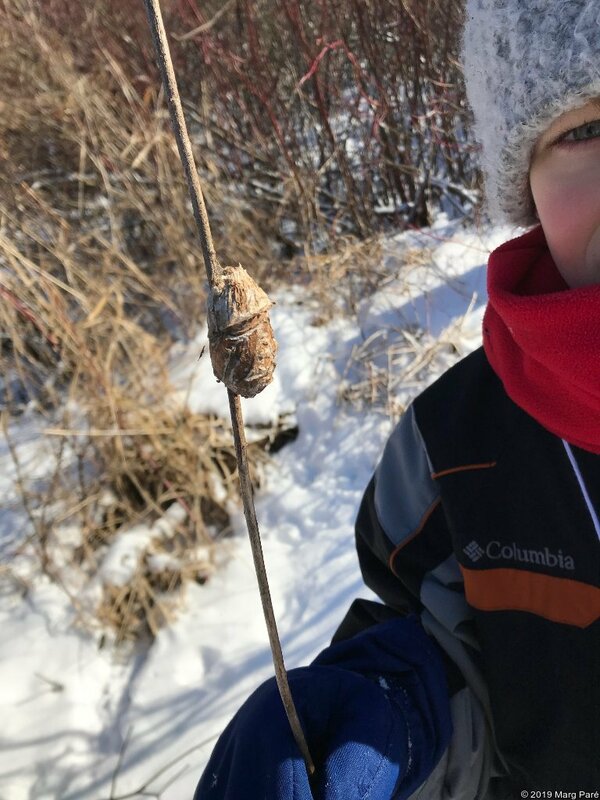 For a full report of this event see the blog at the WRN Kids website: February 24, 2018 – Owl Prowl. 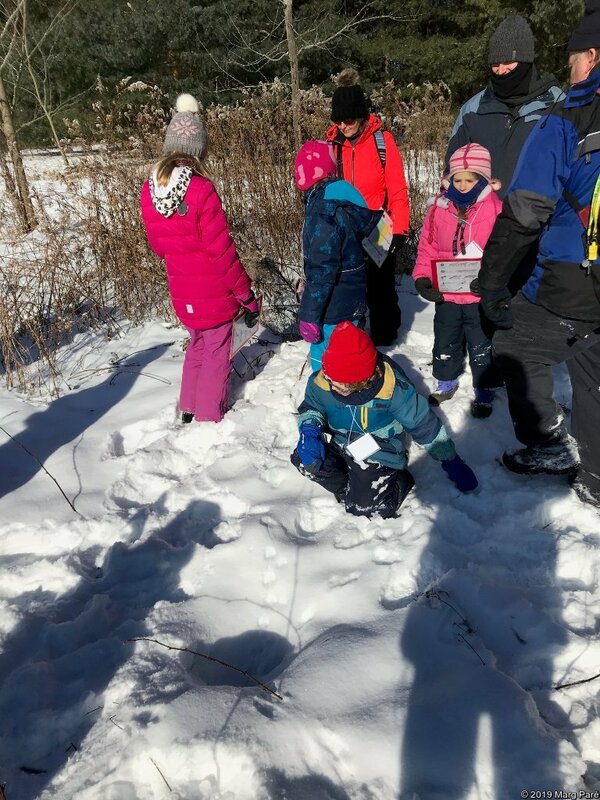 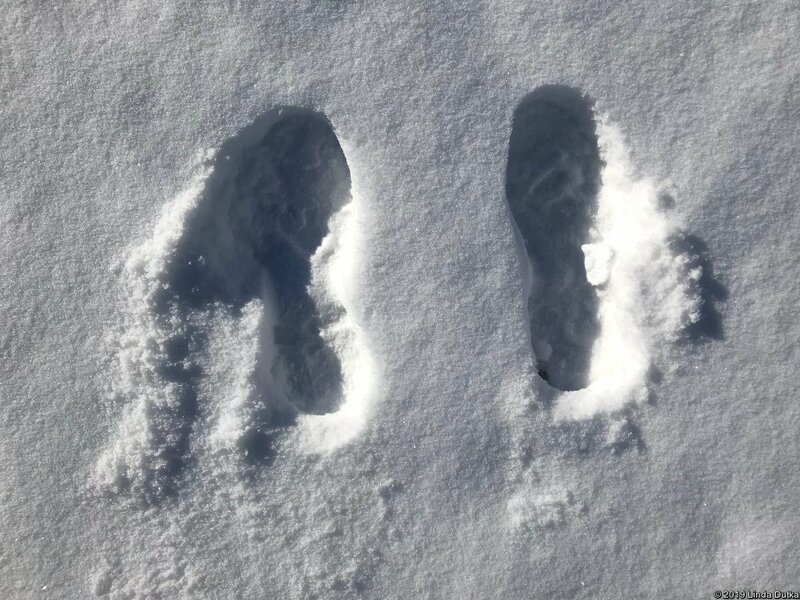 Since another mild spell melted almost all the snow, WRN Kids didn’t get to go snowshoeing on Saturday, January 27, 2018. 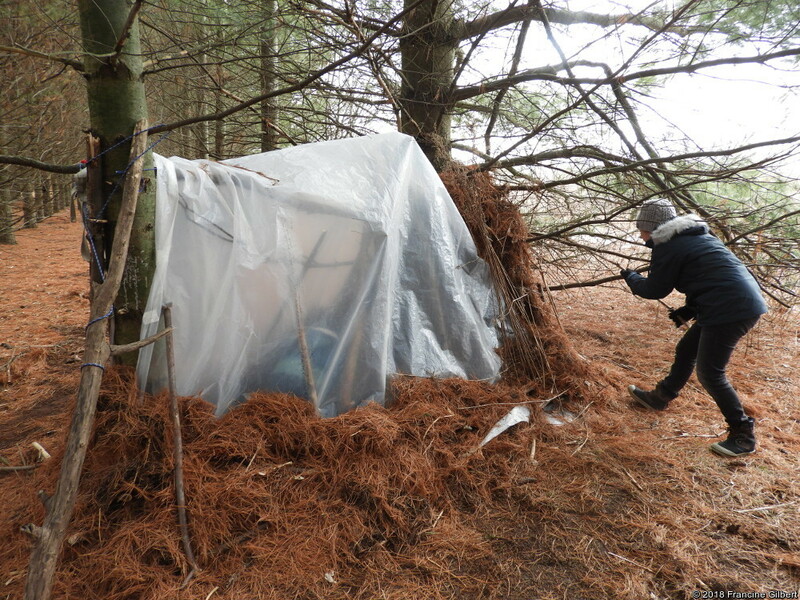 Instead they got busy designing and building shelters. 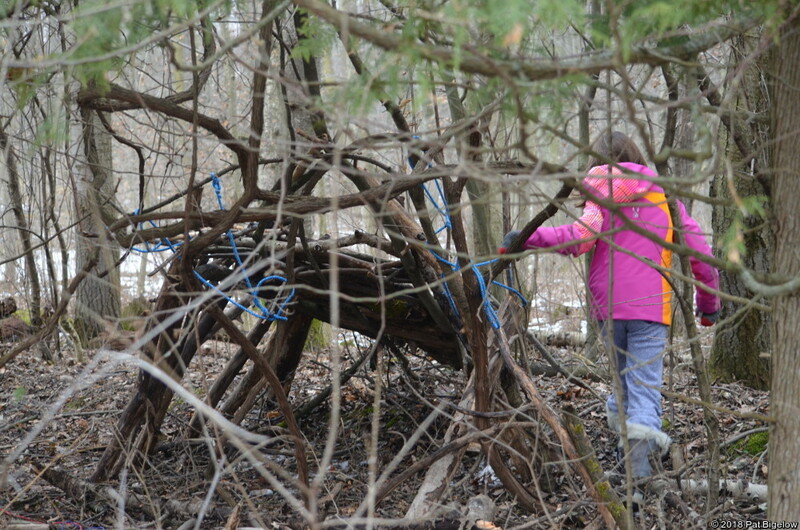 Pairs of families worked together to build a shelter using only a tarp, a rope and dead branches and plant material. 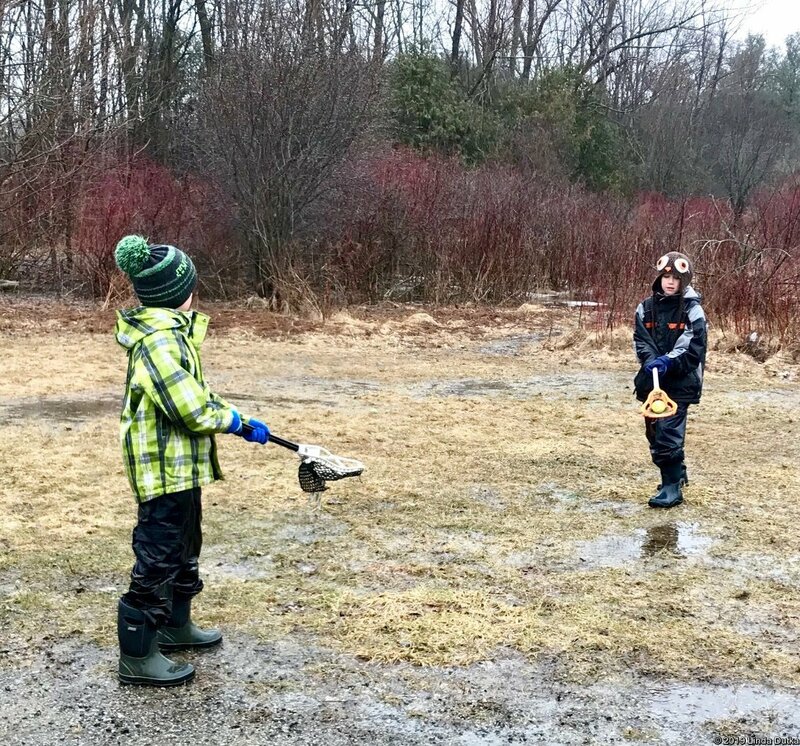 After testing how warm their shelter could get when occupied, they headed back to the nature centre to feed chickadees from their hands. 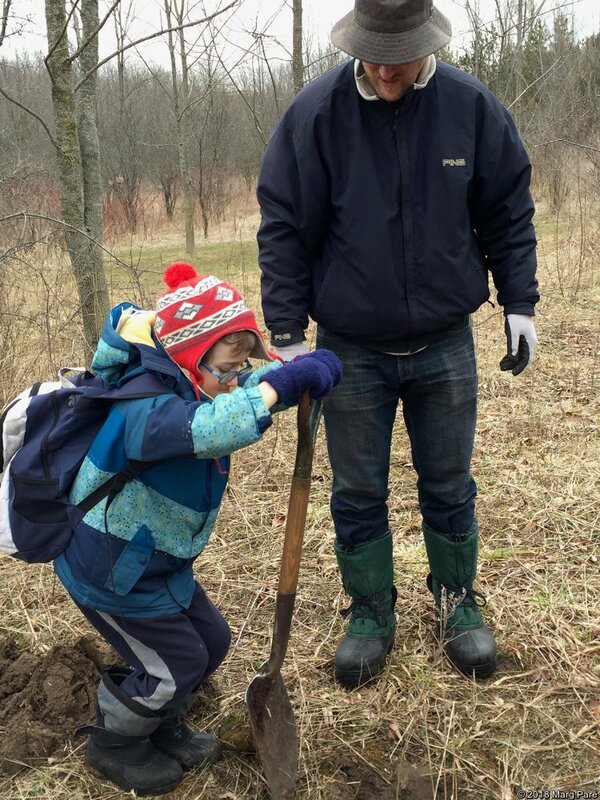 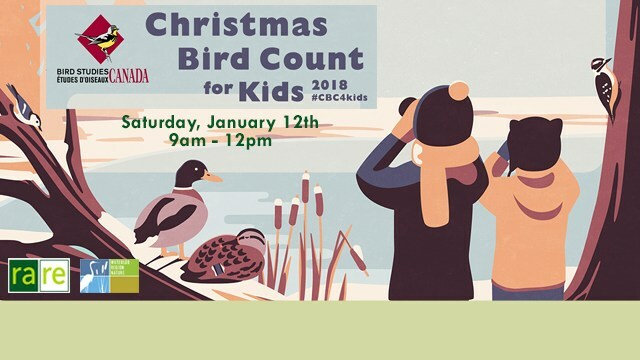 Some of the WRN Kids families were part of the Christmas Bird Count for Kids at rare Charitable Research Reserve. 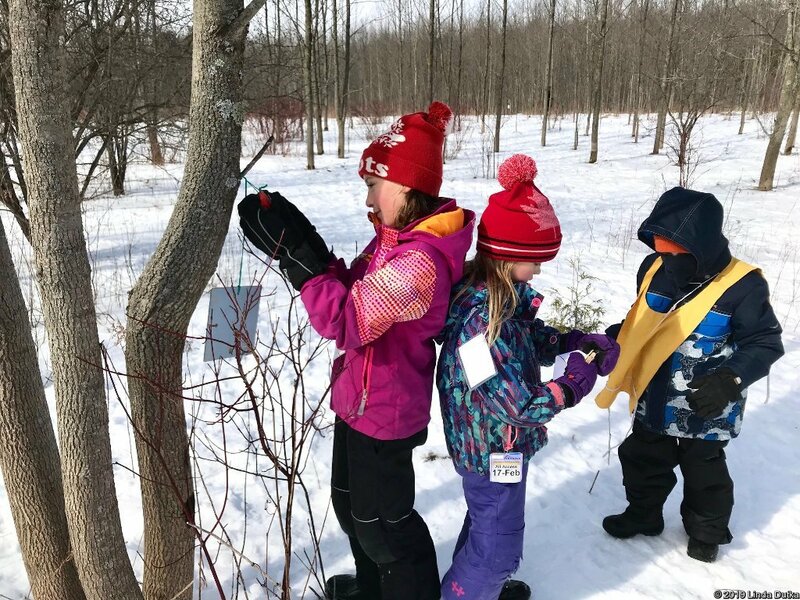 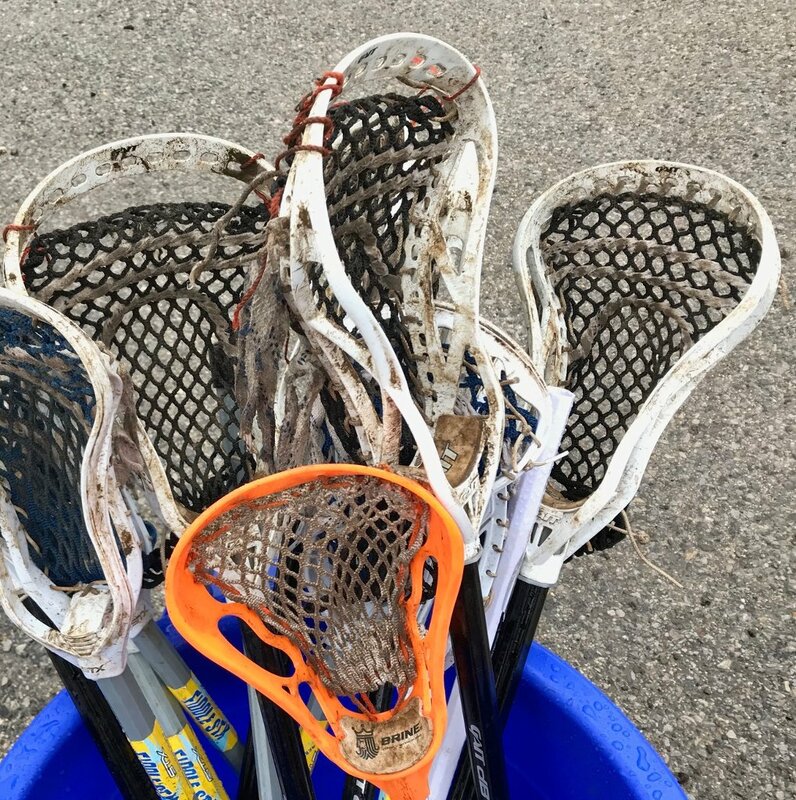 This event was initially scheduled for a Saturday earlier in the month, but the ferocious wind-chill that day resulted in a postponement to a PD day on Friday, January 26, 2018. 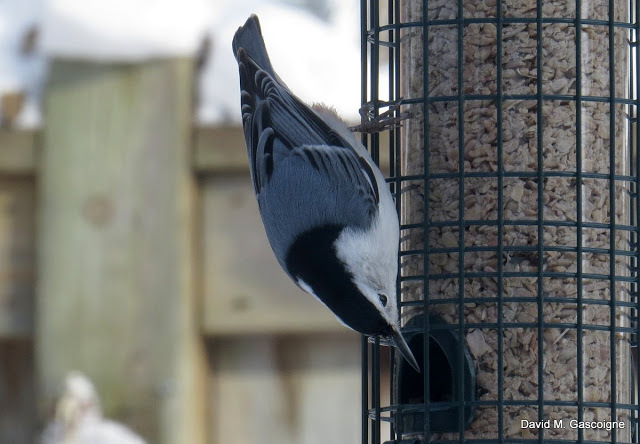 They started out at the feeders behind the Eco Centre, where there were lots of birds. 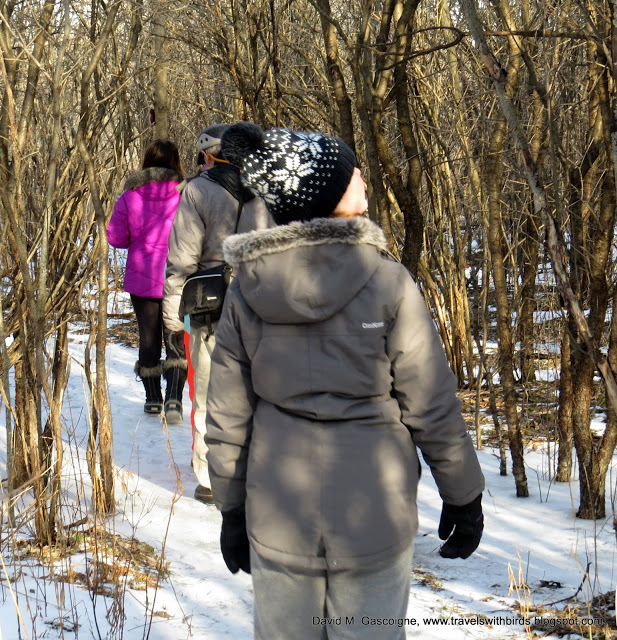 It was a perfect winter’s day, with the temperature hovering near the freezing mark, and everyone enjoyed walking the trails. 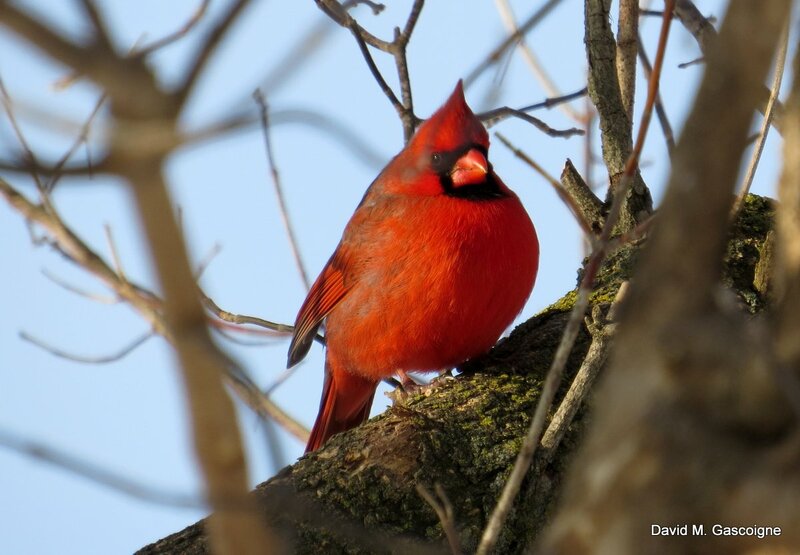 They heard a Northern Cardinal and eventually got some good views of it. 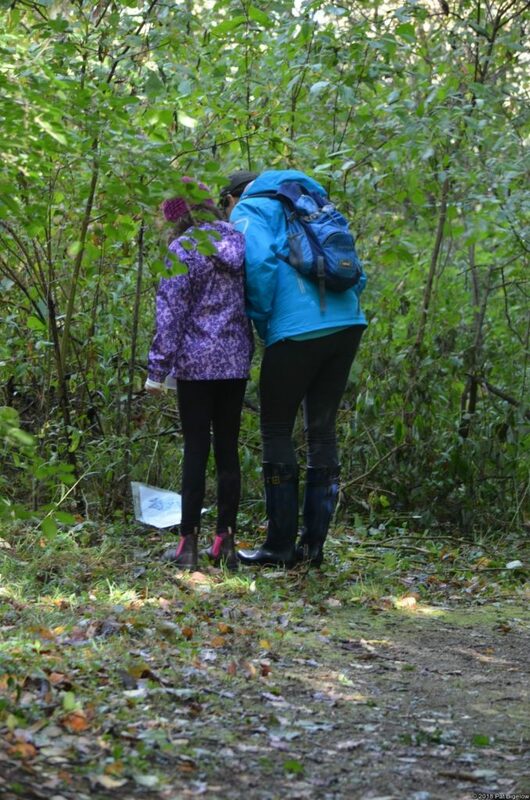 Back at the Eco Centre they gathered to write down their sightings and enjoy coffee and hot chocolate. 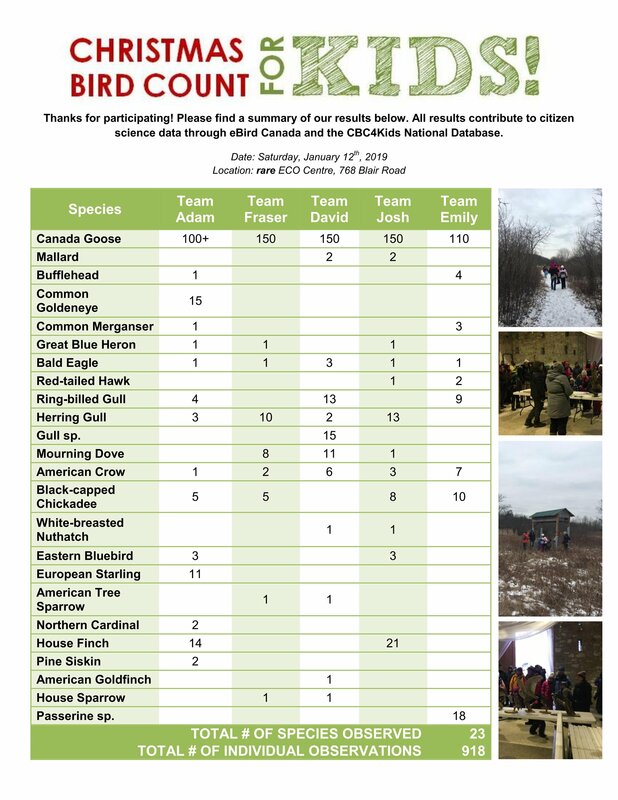 For a full report of this event, see David Gascoigne’s blog at Travels With Birds.